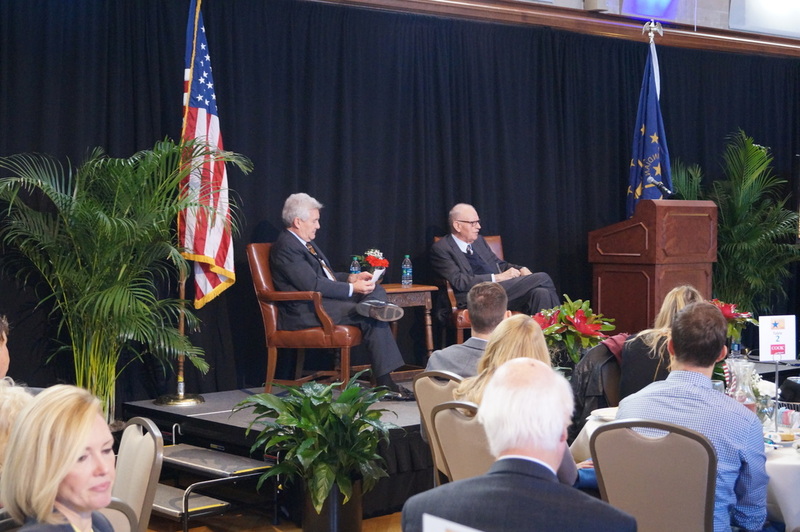 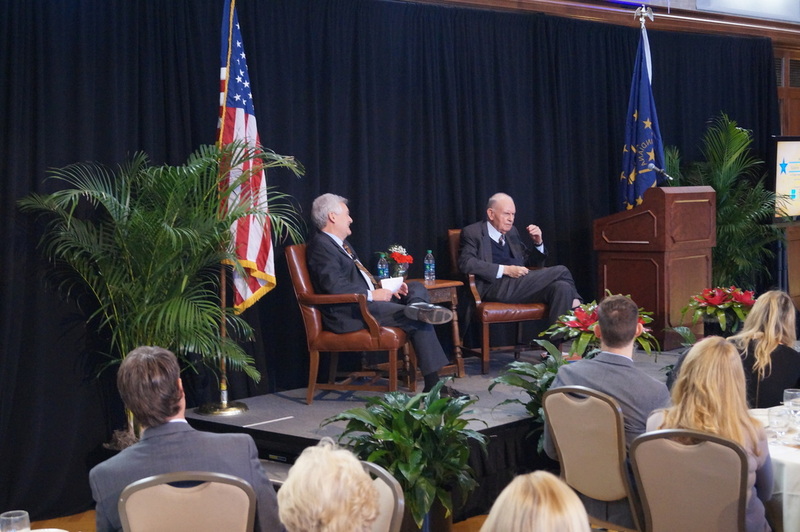 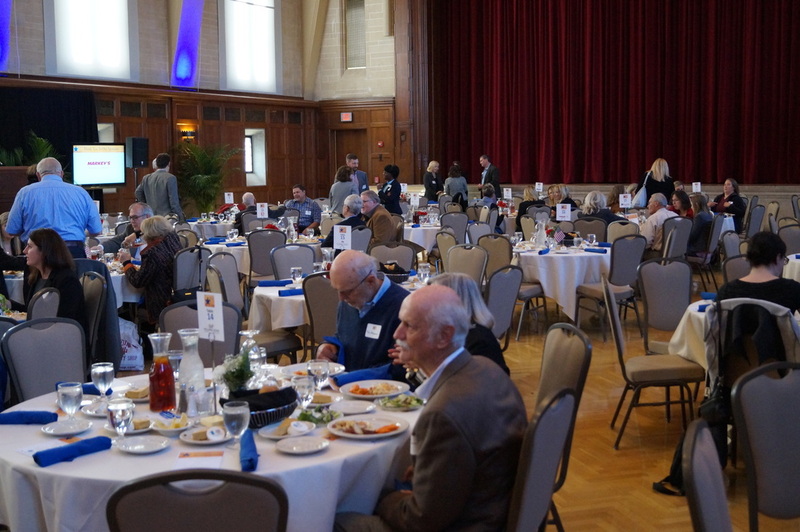 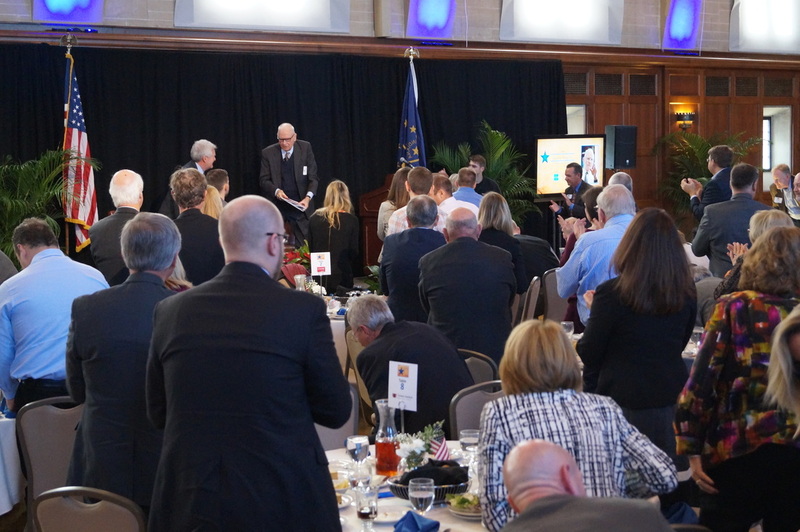 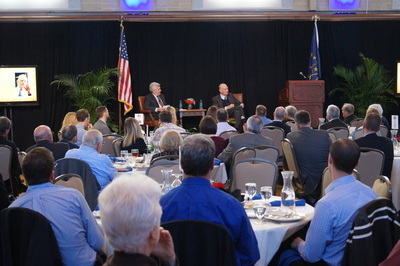 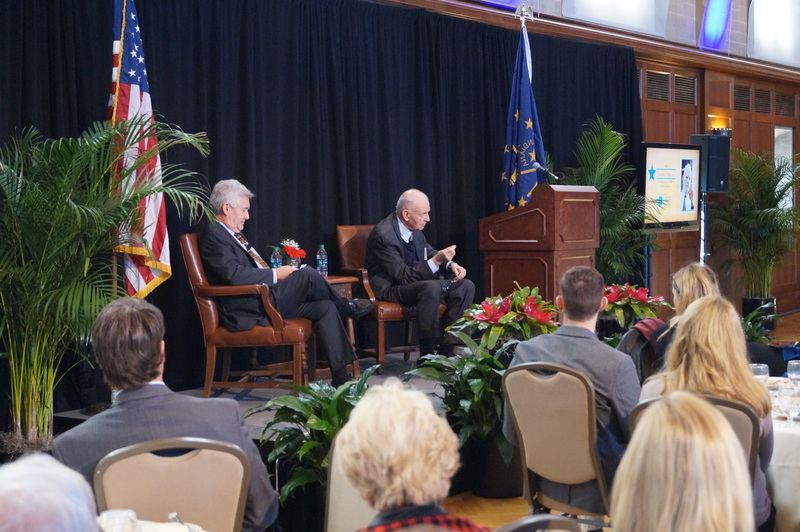 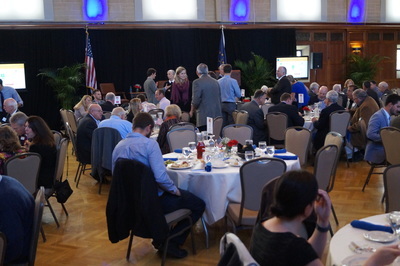 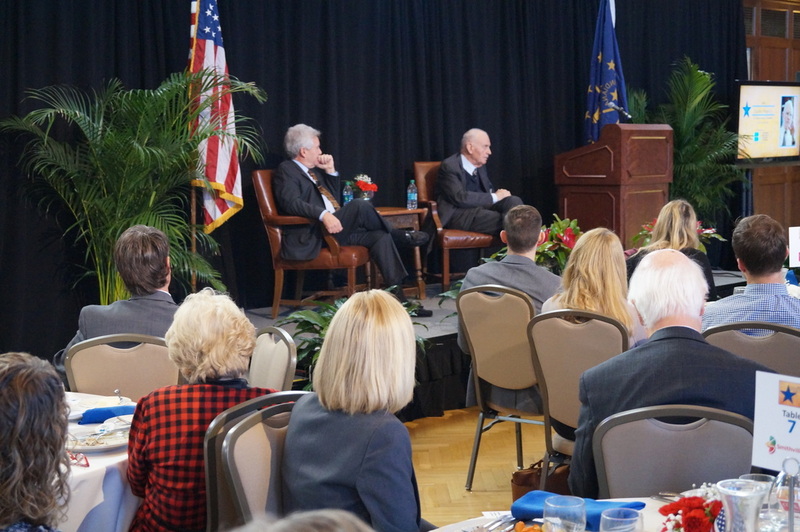 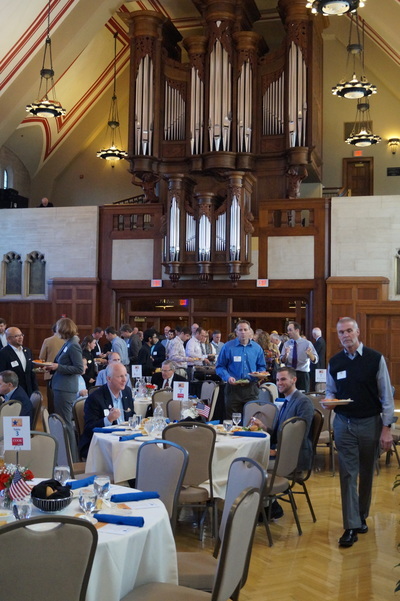 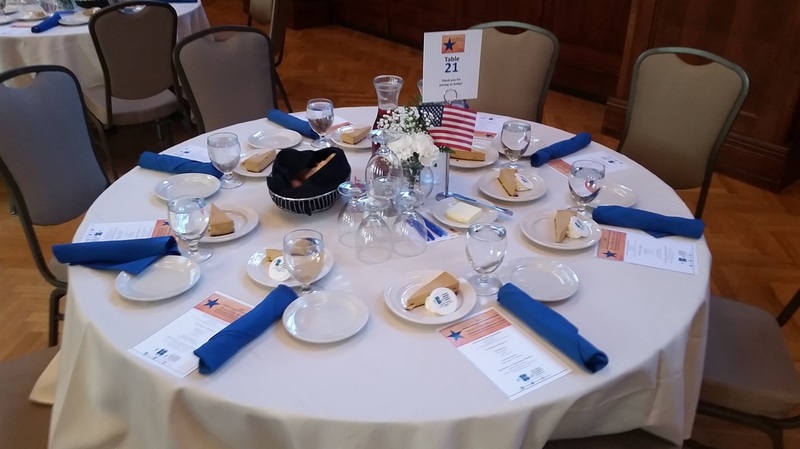 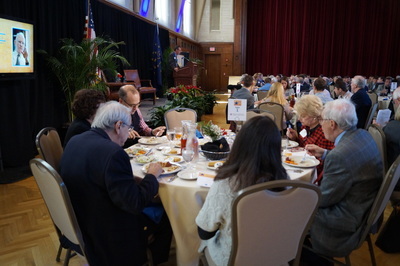 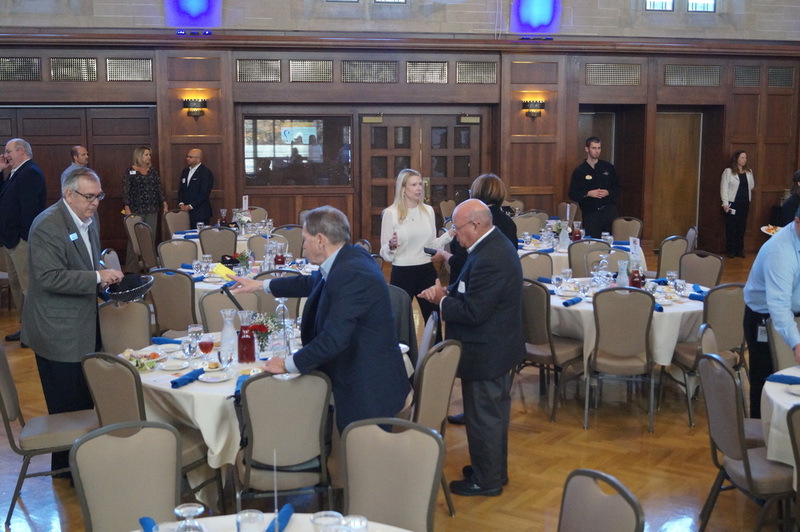 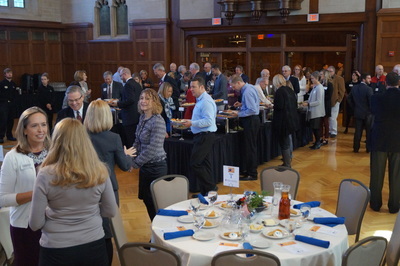 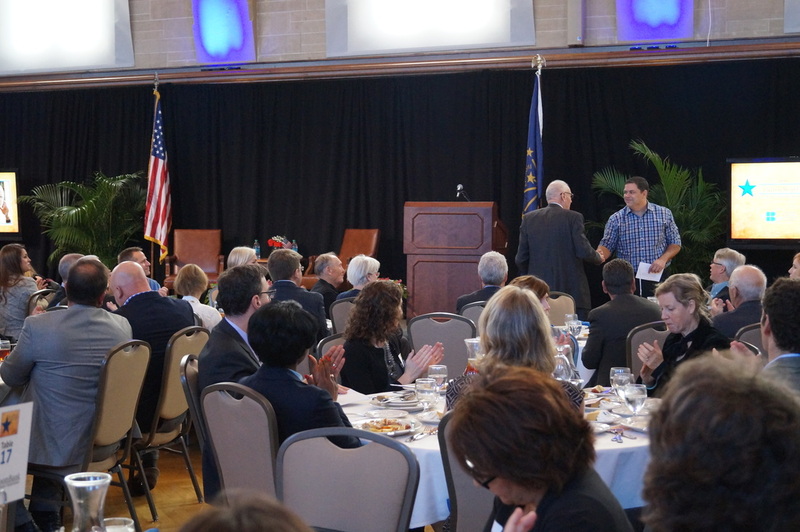 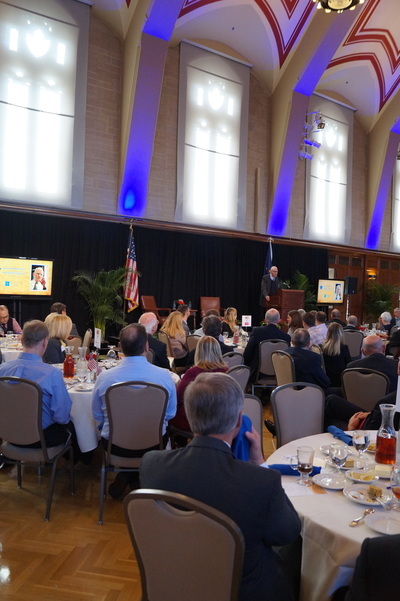 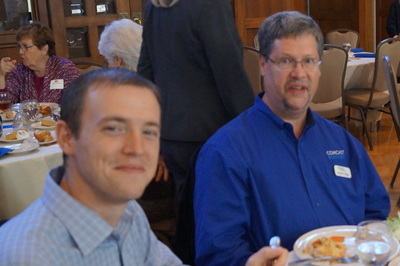 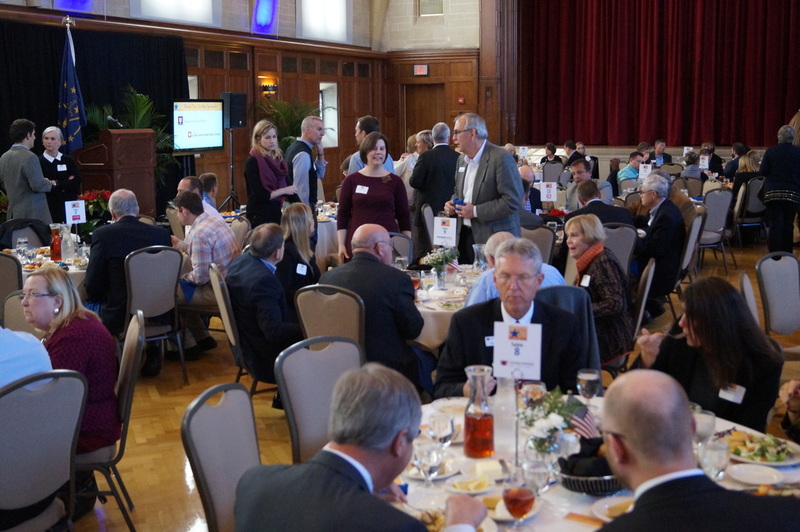 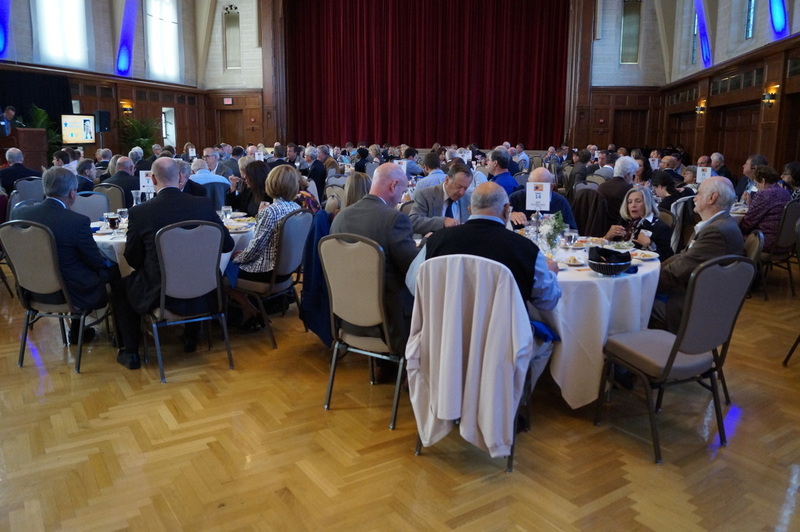 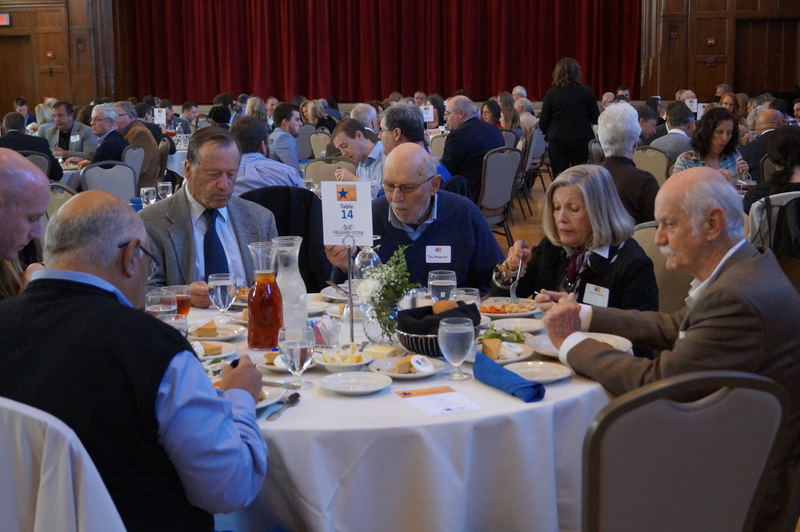 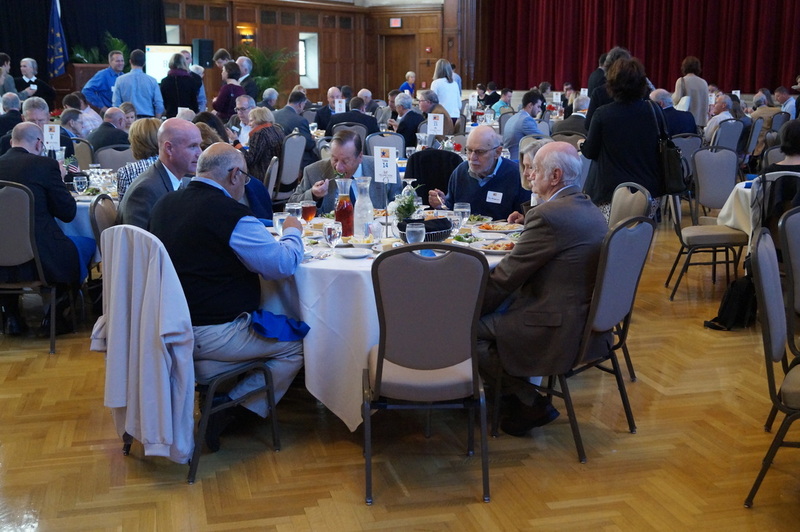 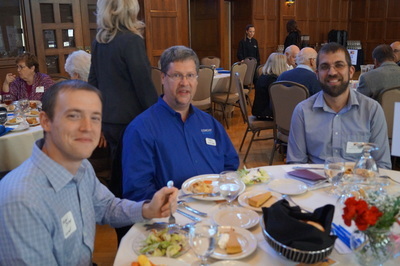 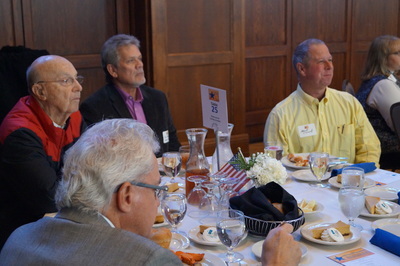 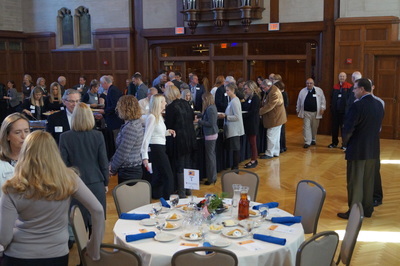 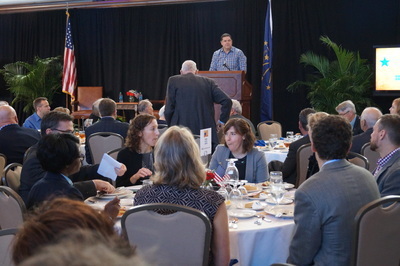 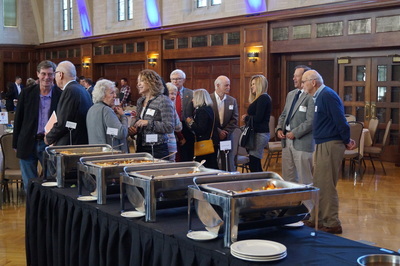 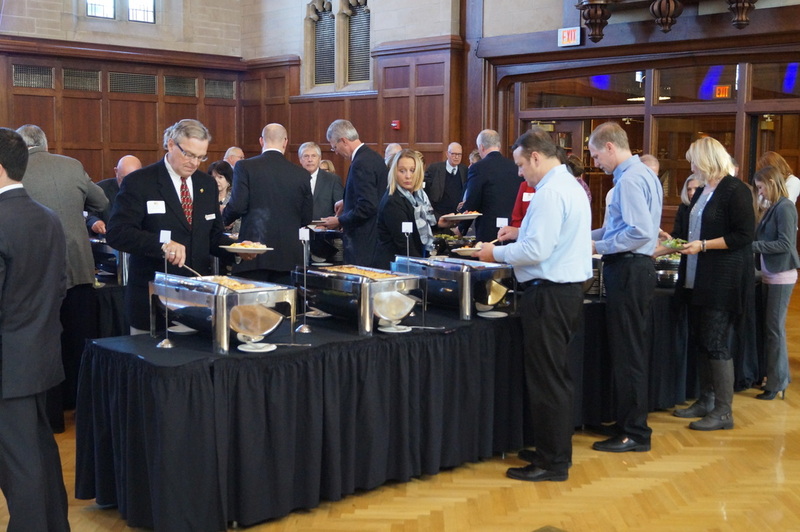 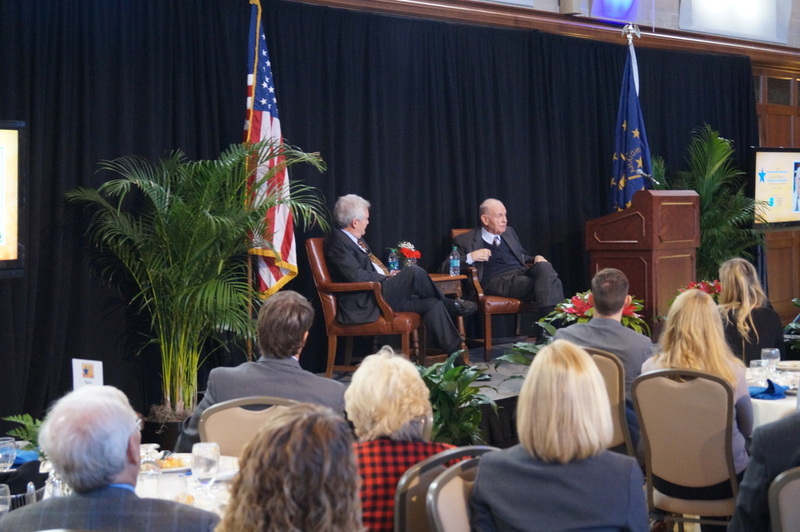 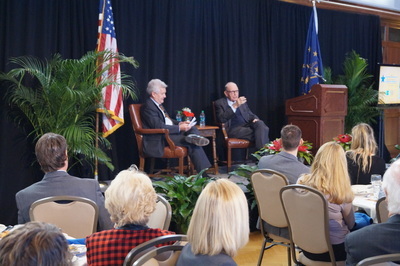 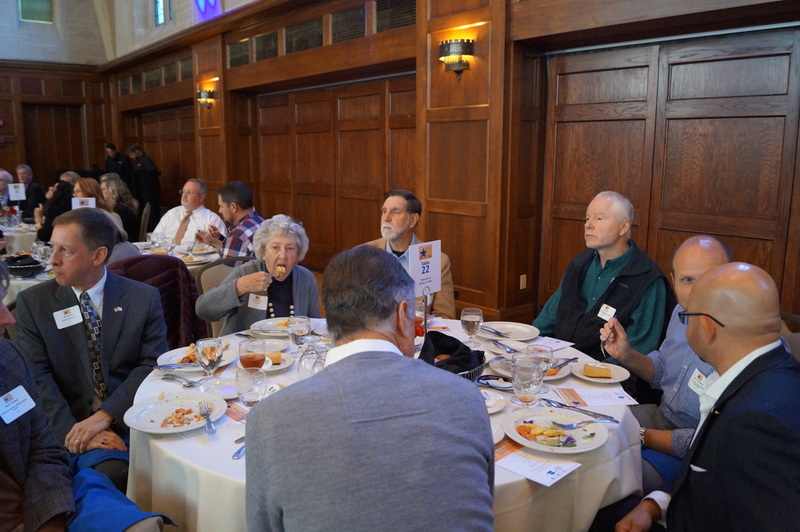 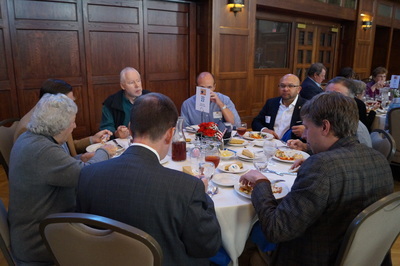 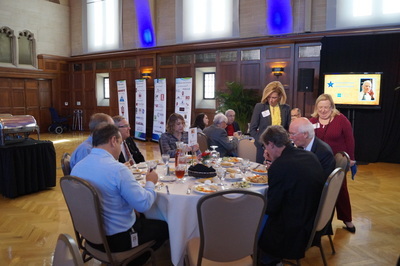 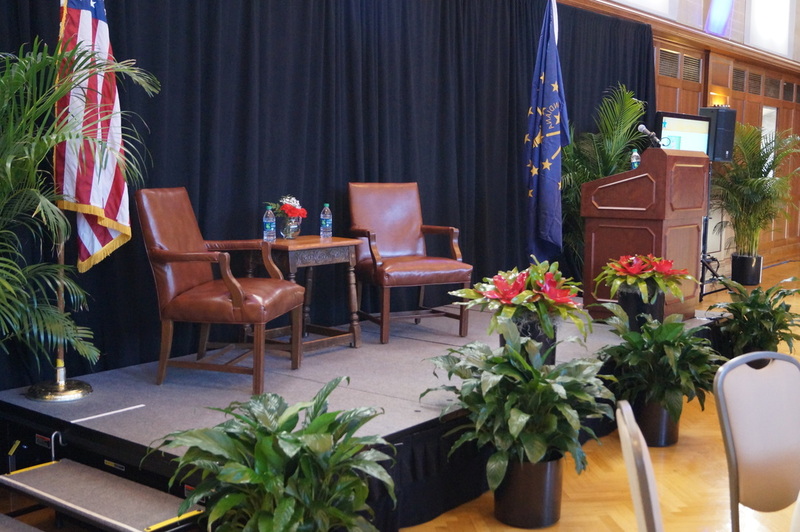 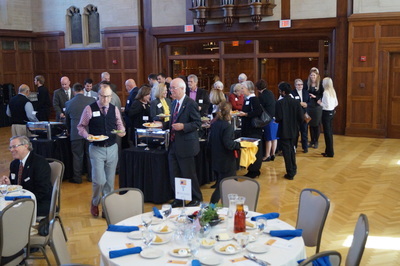 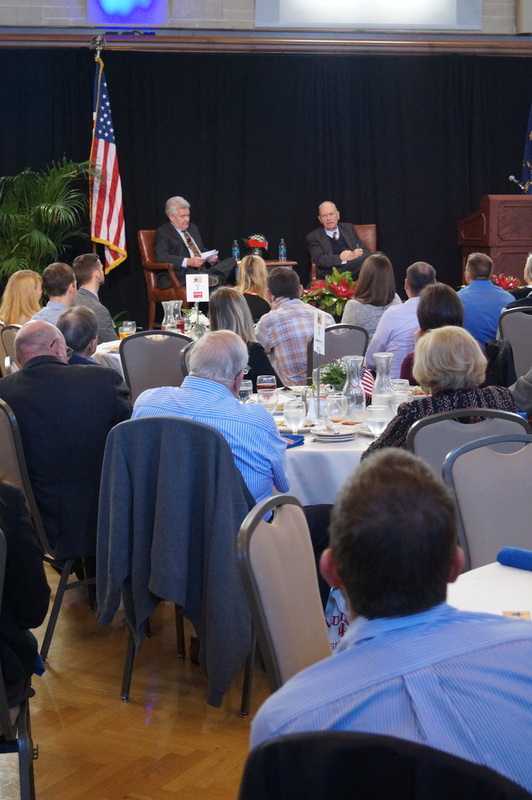 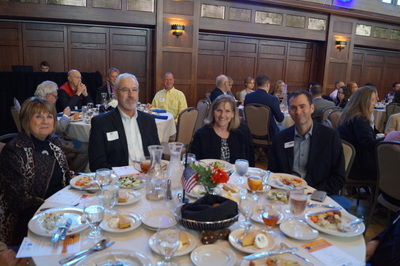 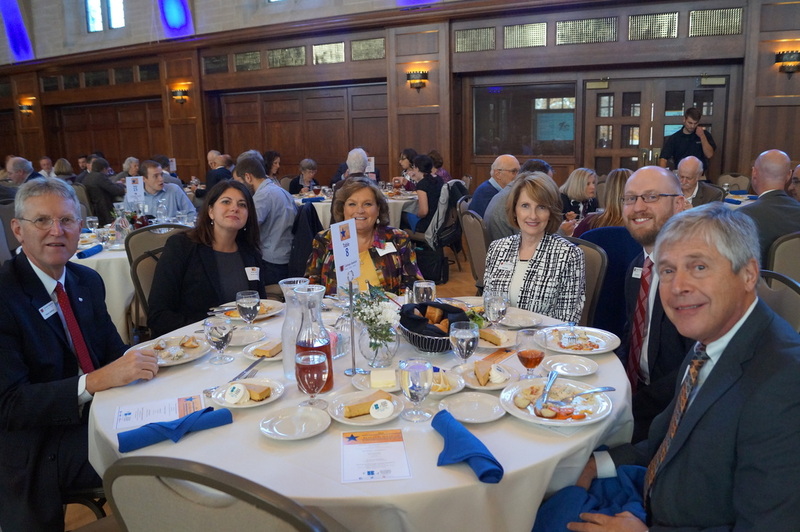 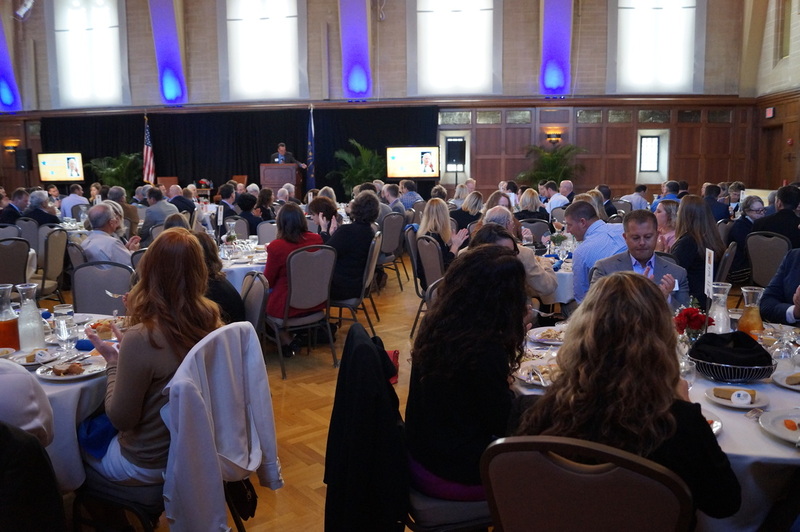 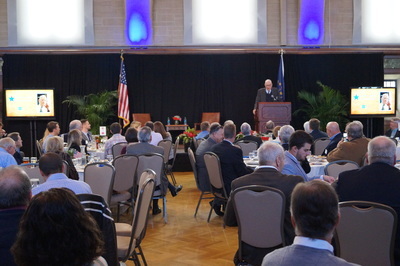 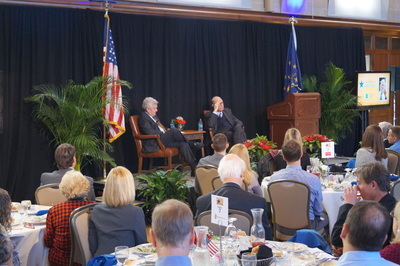 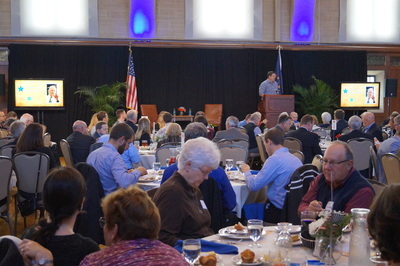 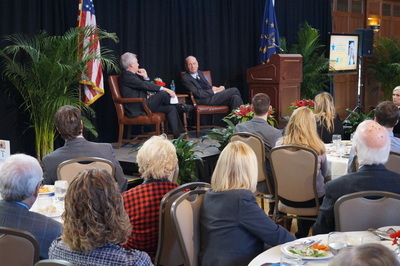 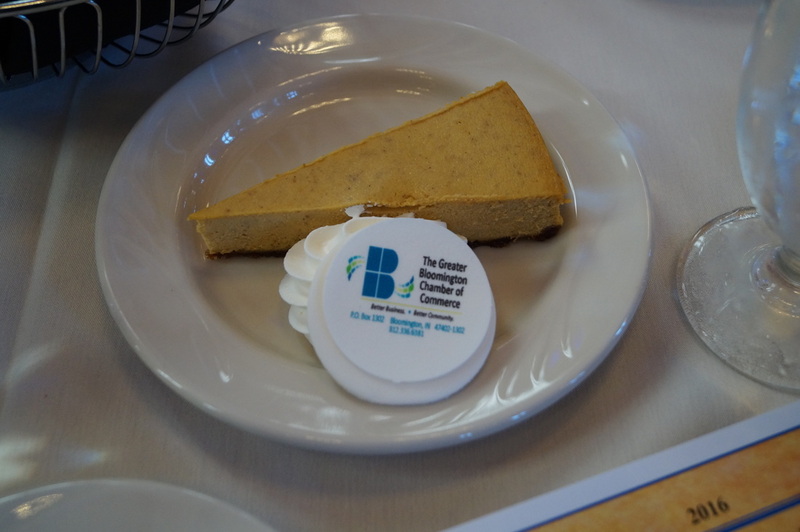 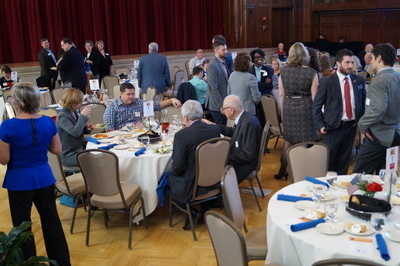 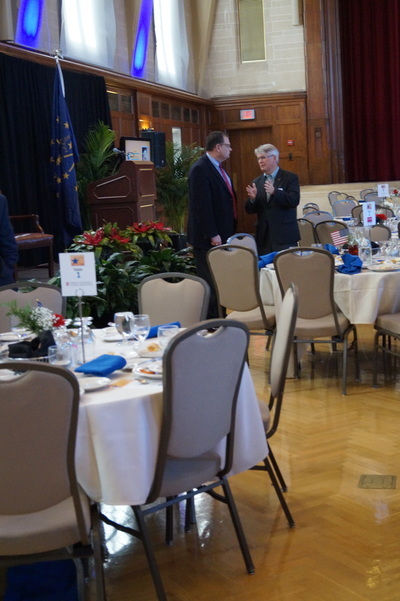 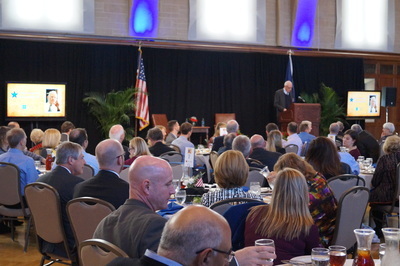 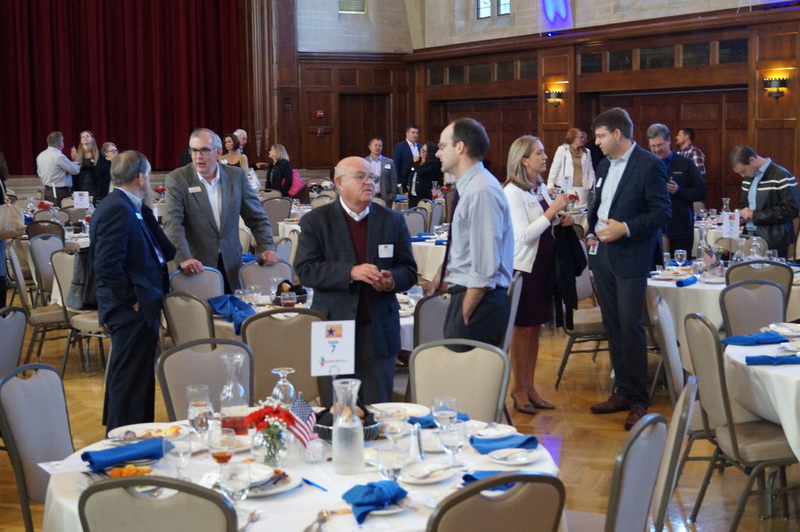 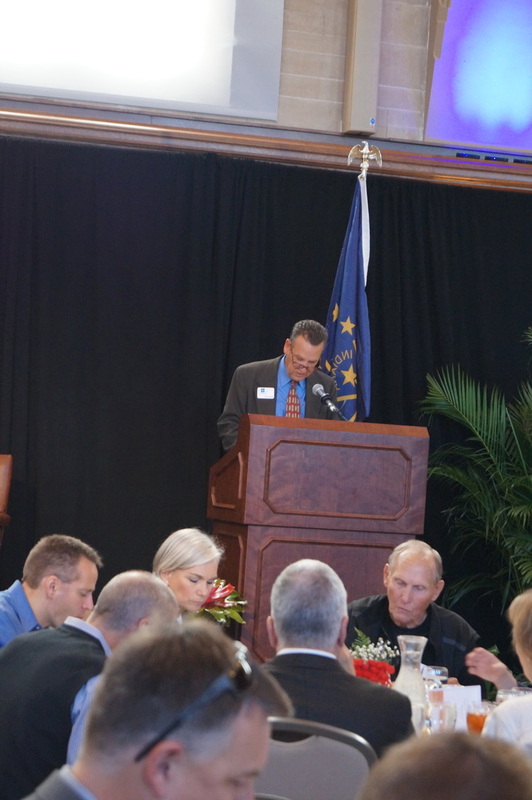 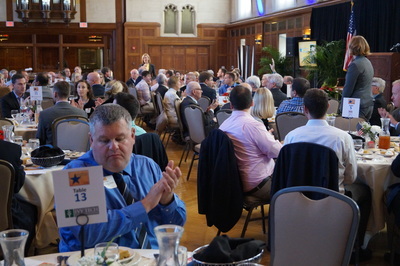 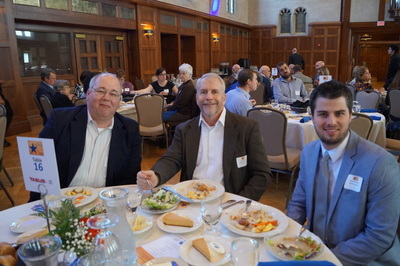 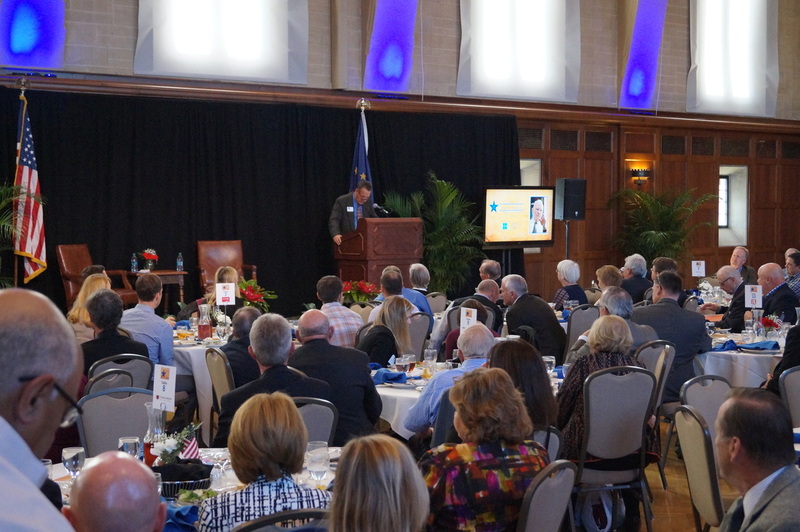 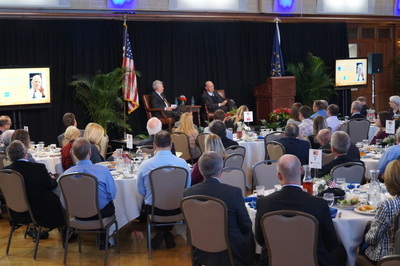 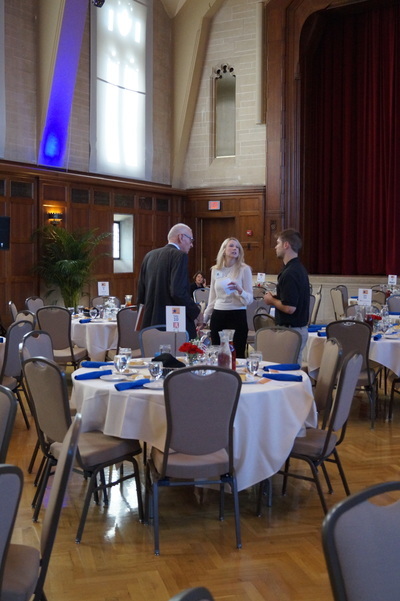 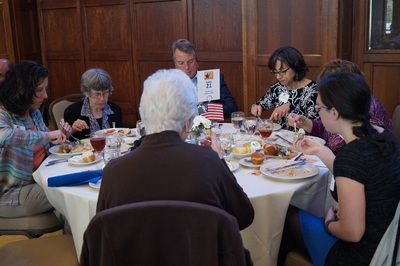 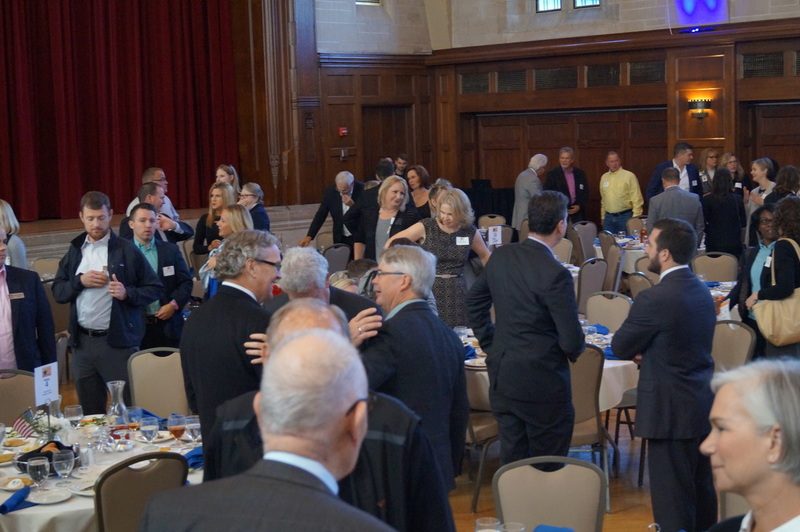 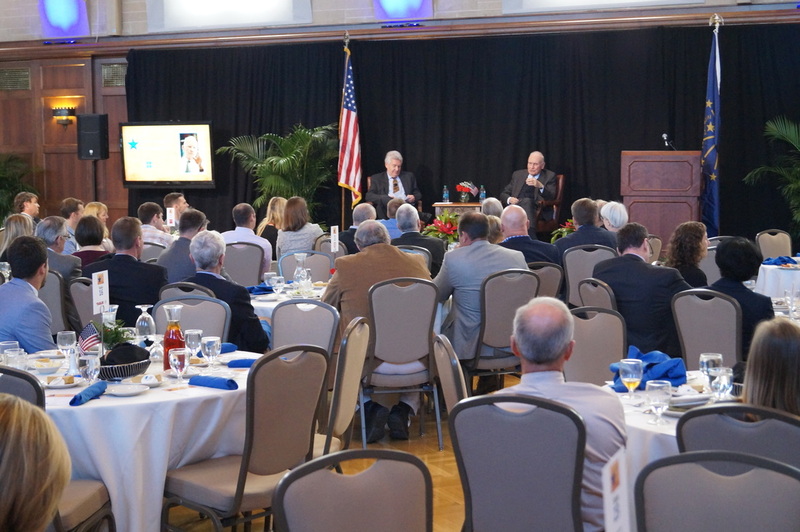 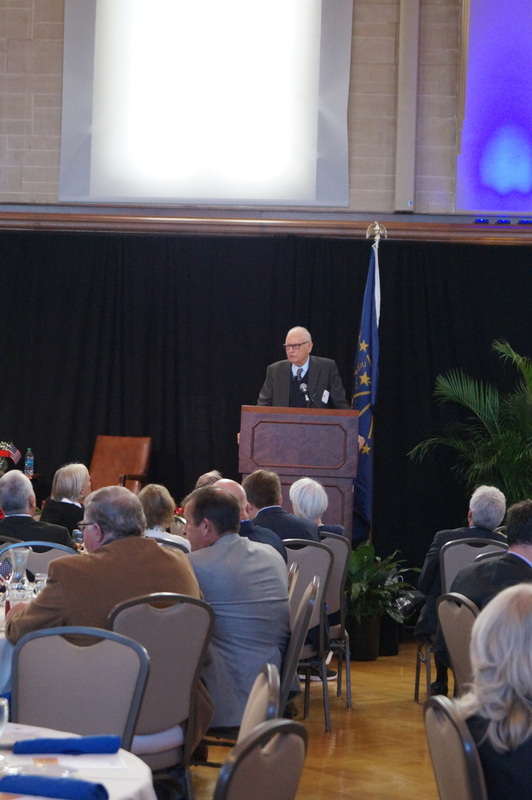 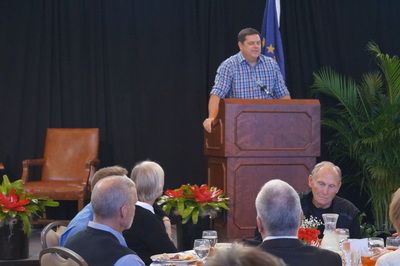 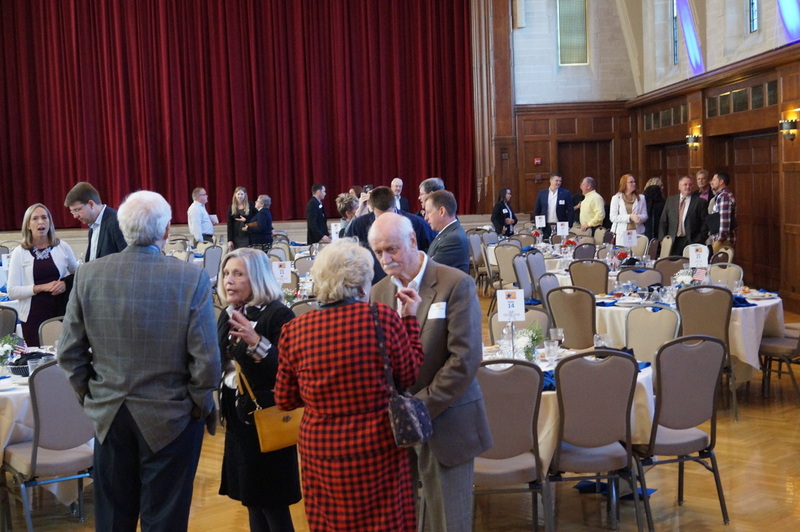 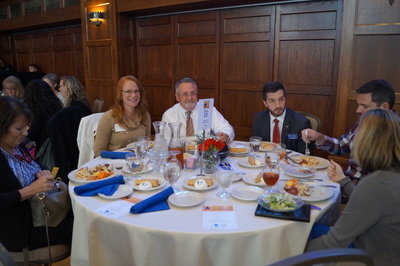 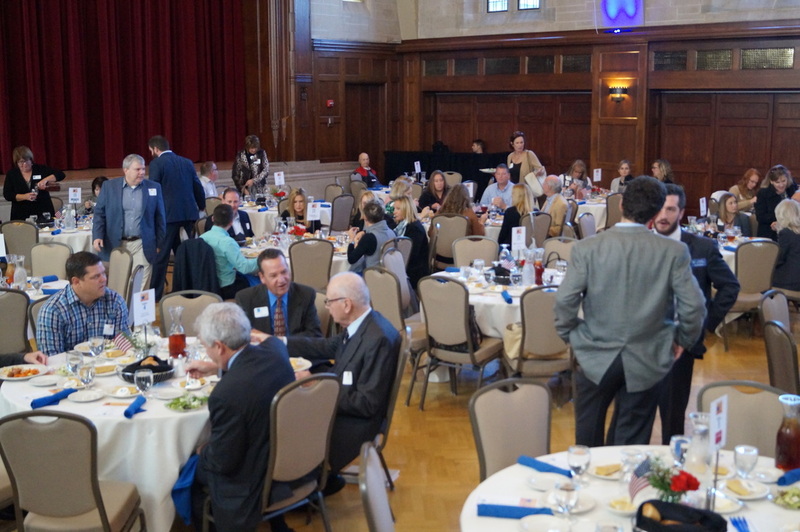 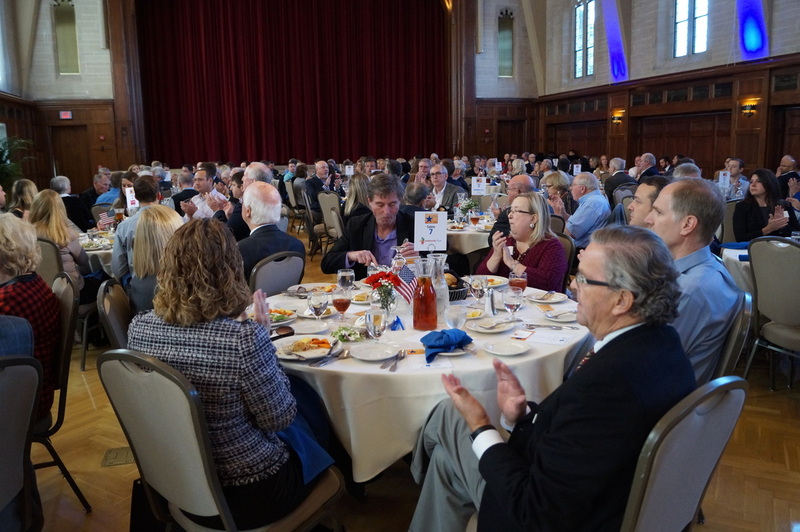 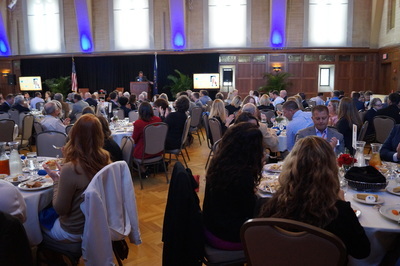 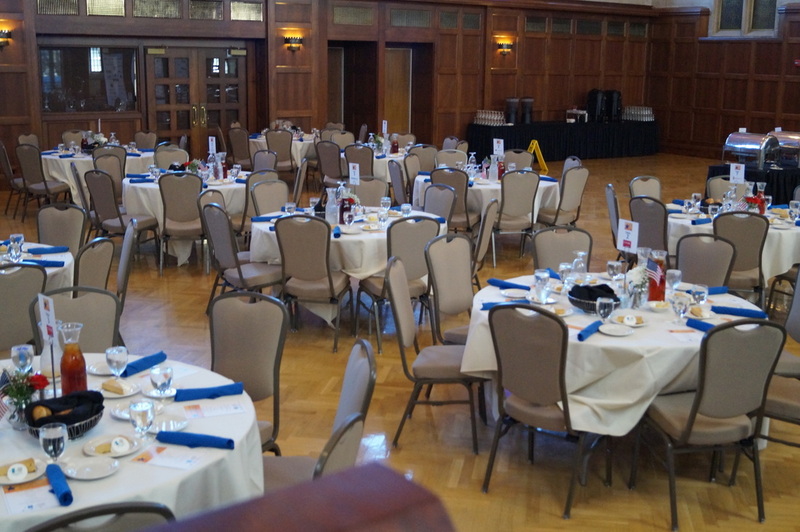 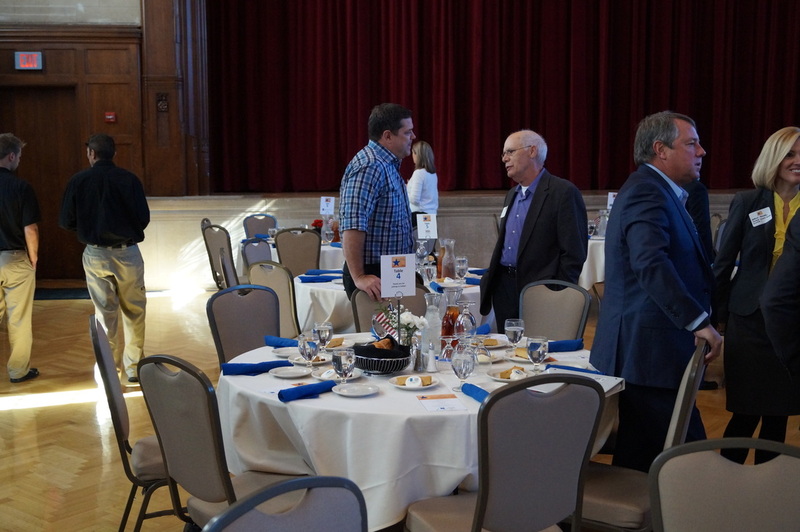 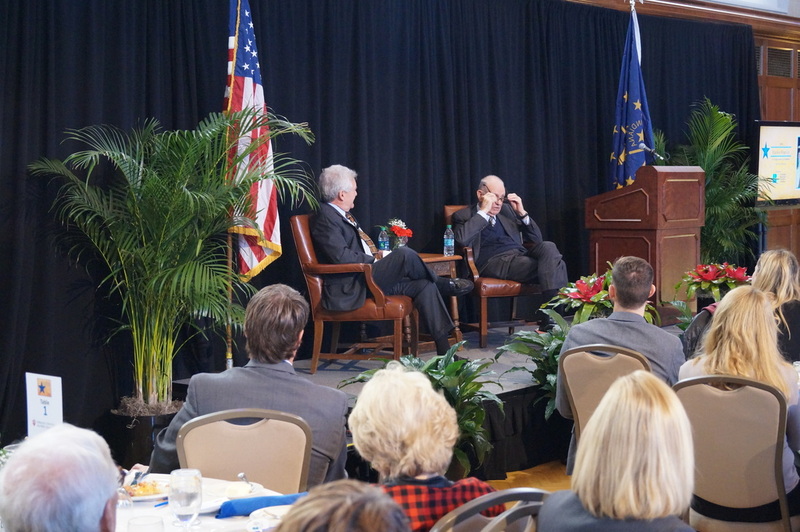 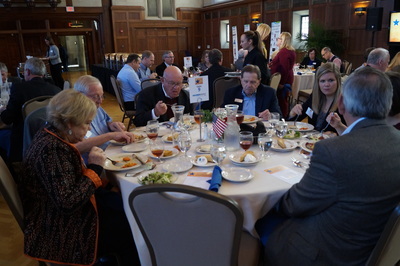 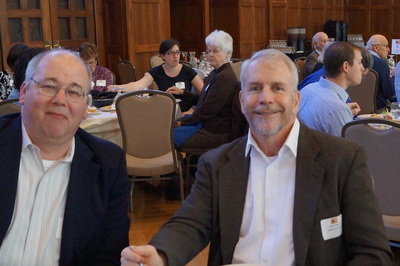 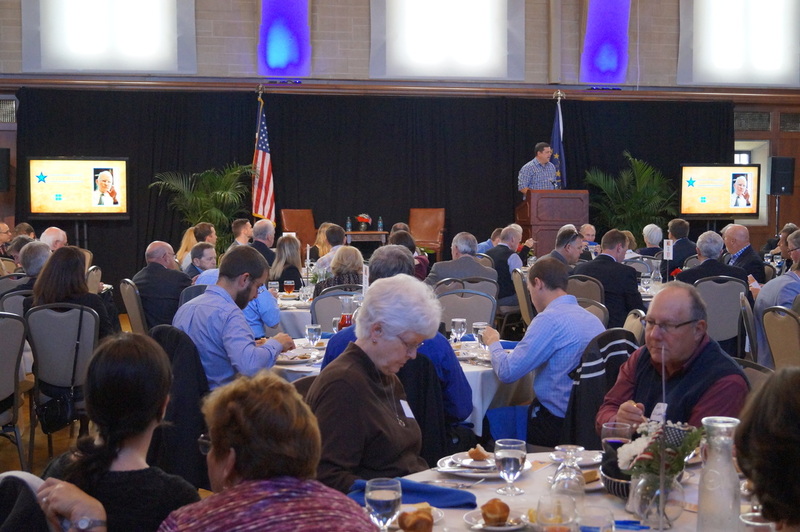 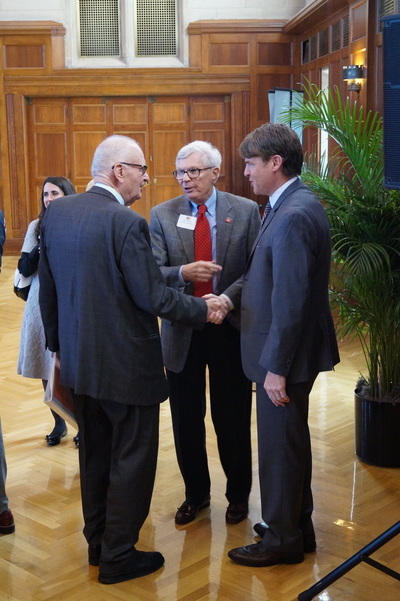 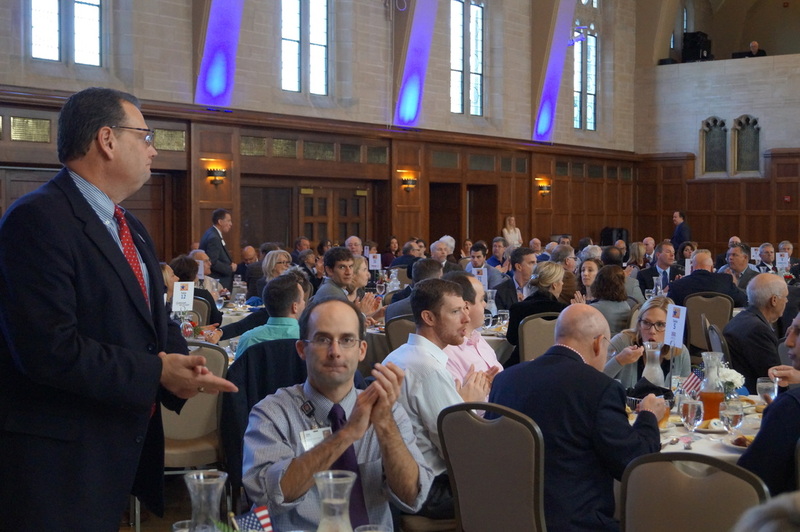 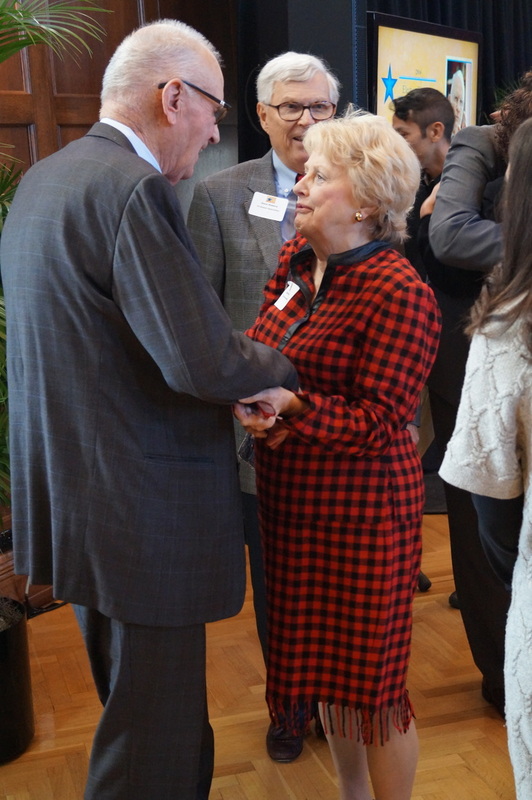 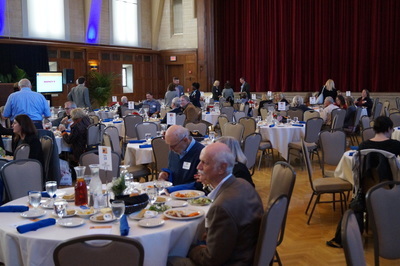 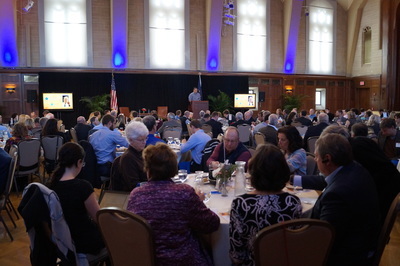 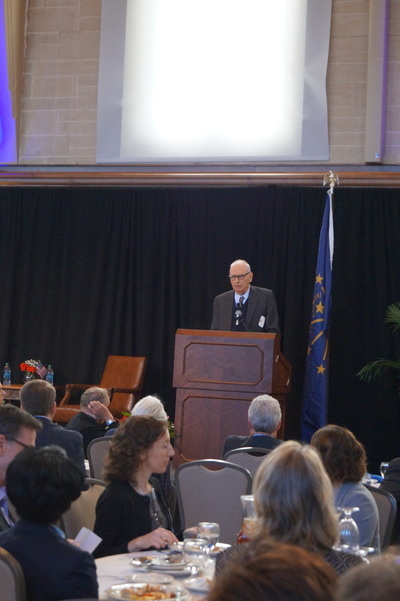 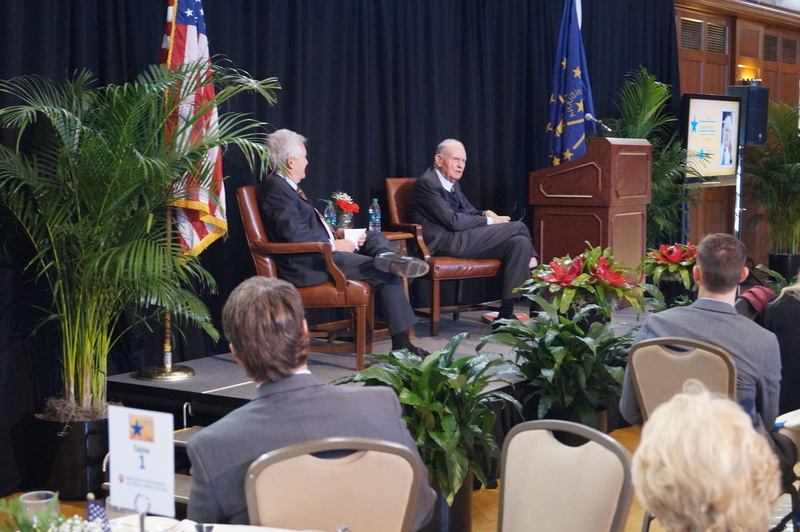 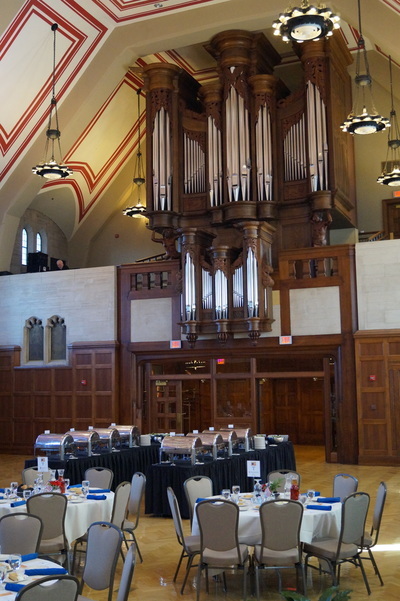 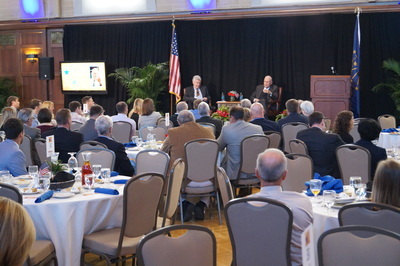 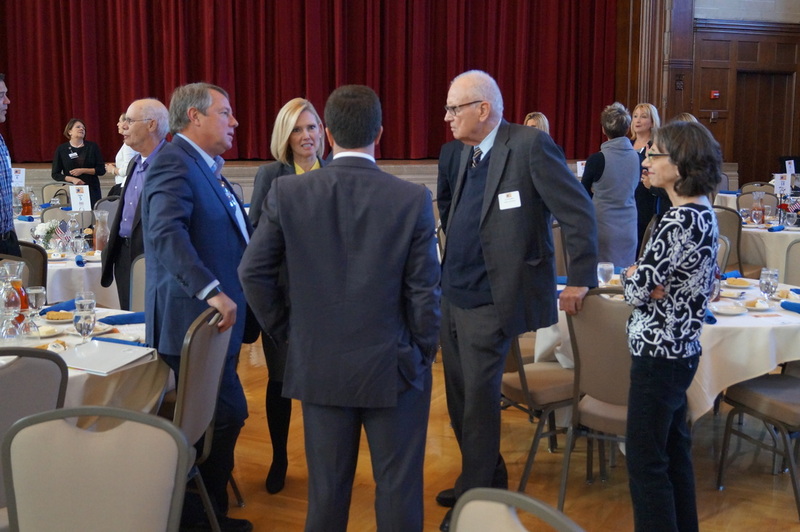 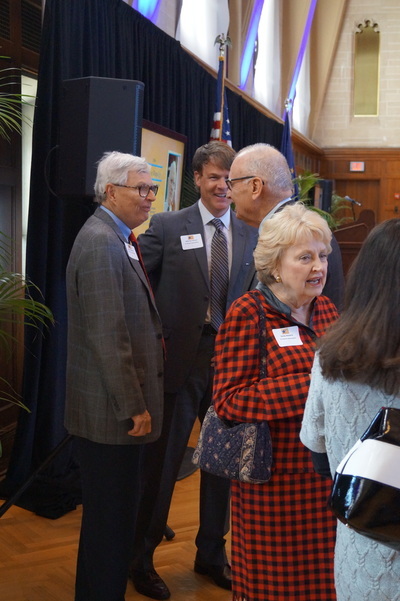 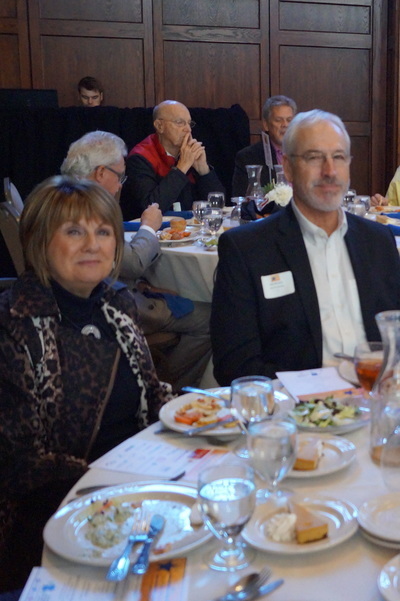 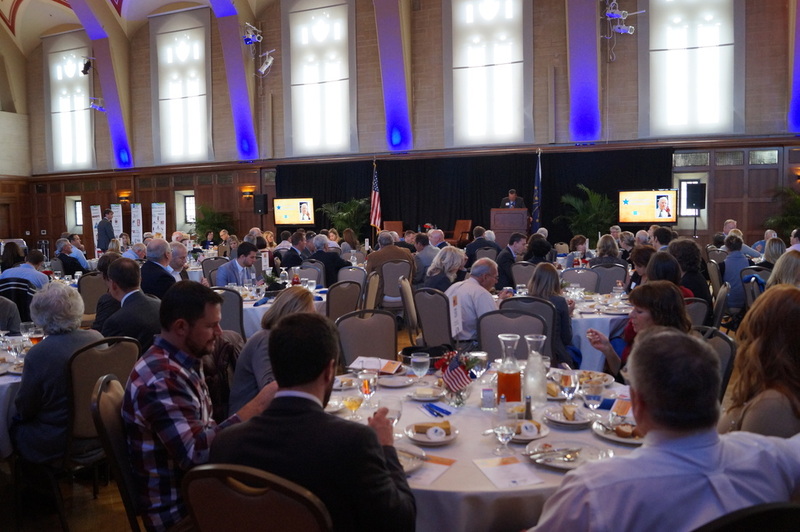 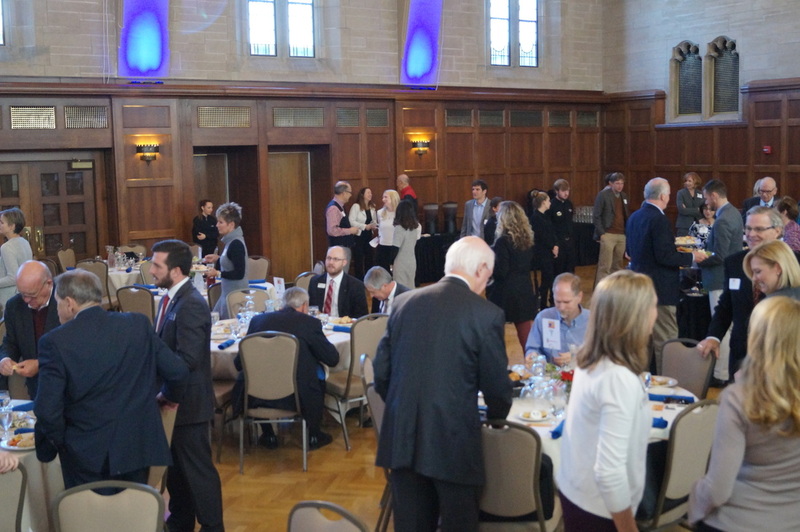 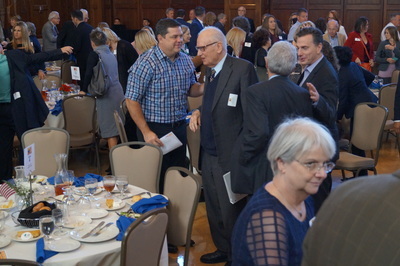 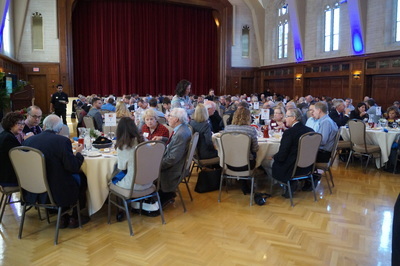 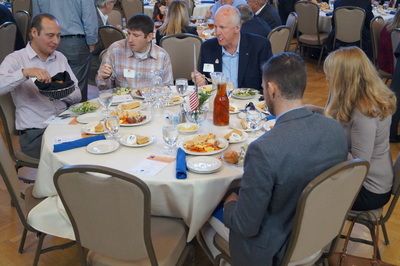 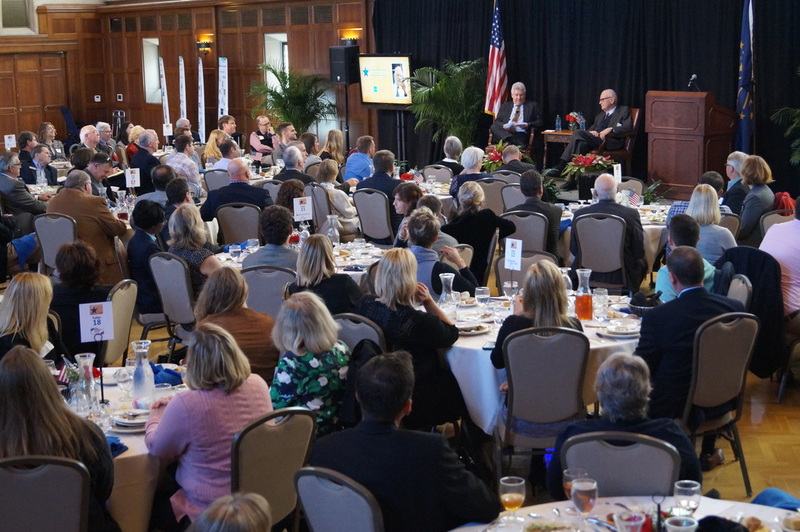 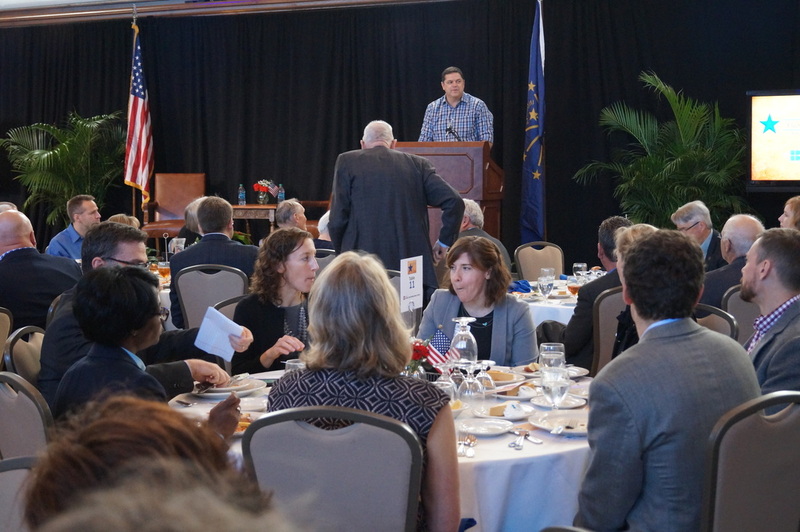 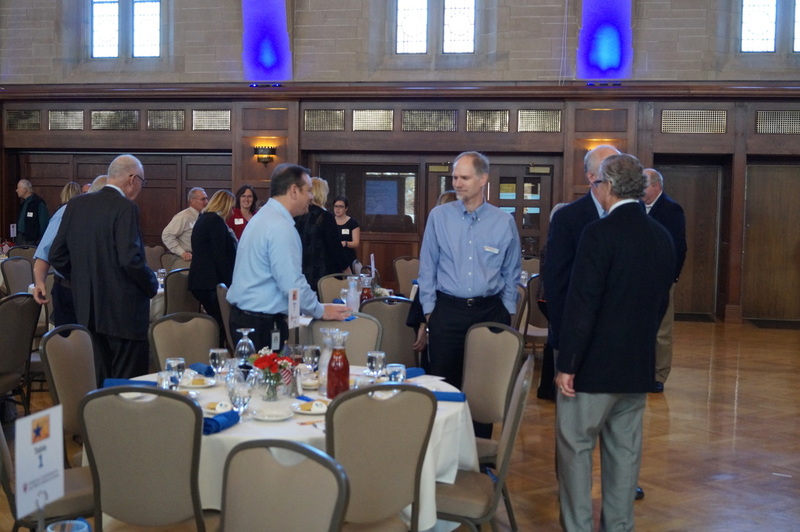 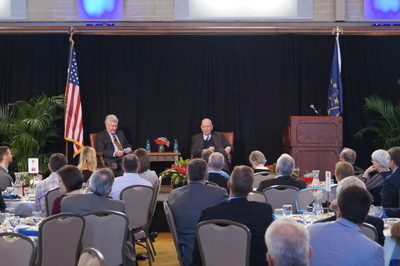 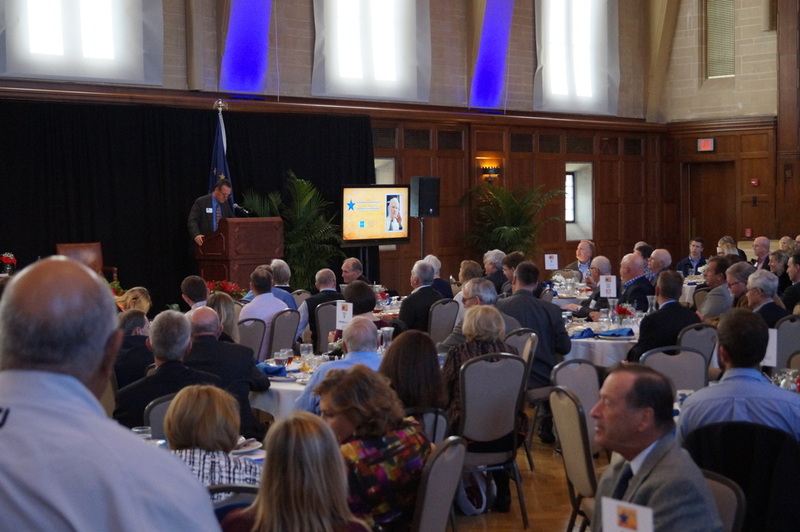 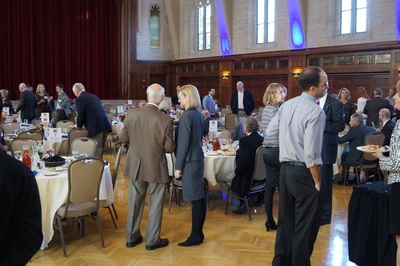 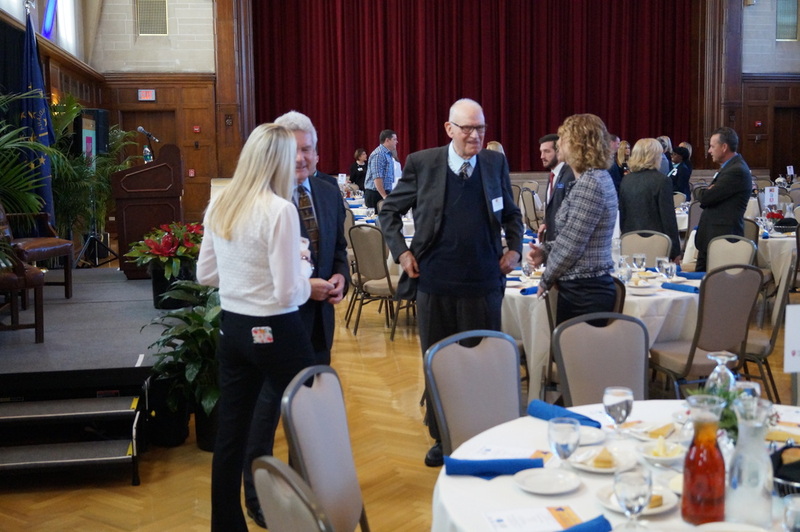 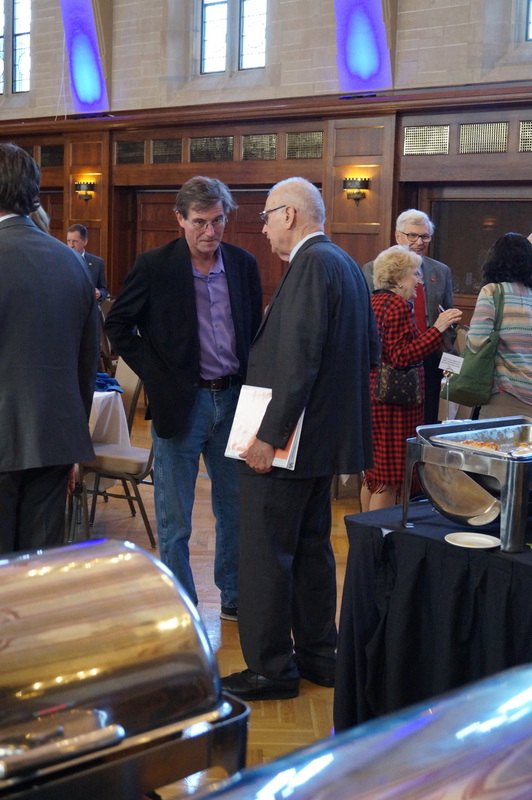 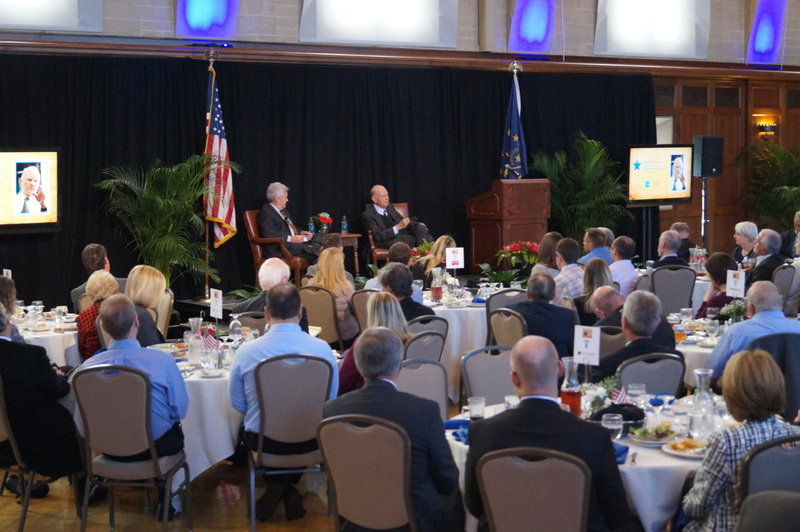 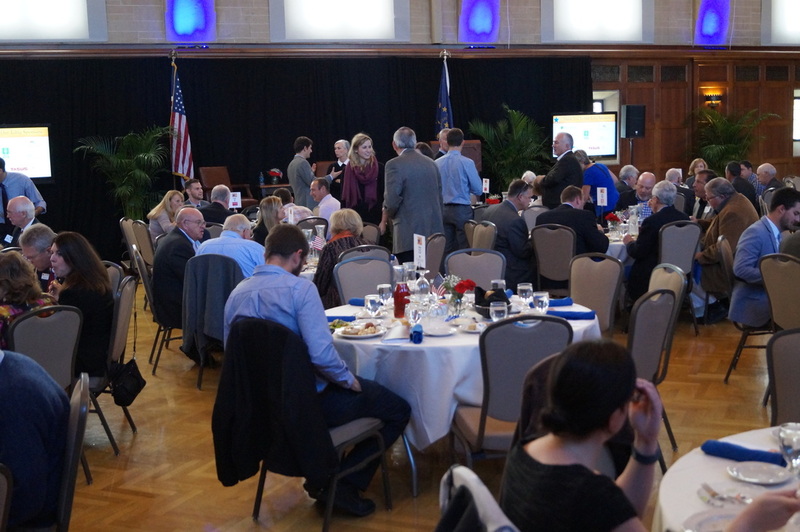 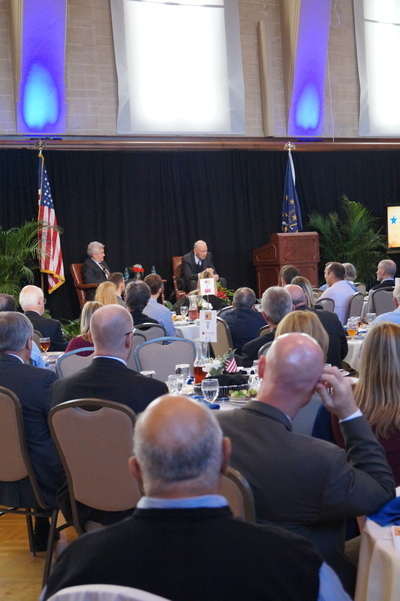 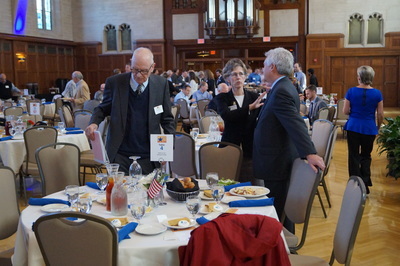 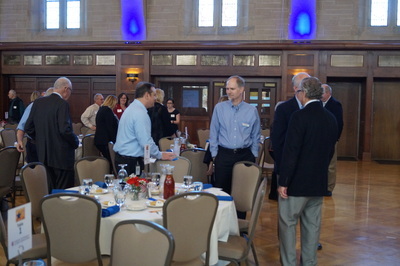 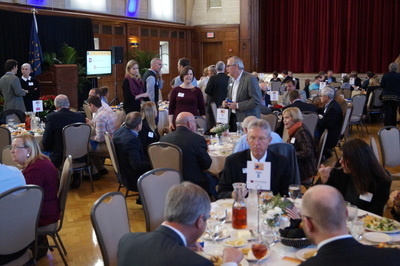 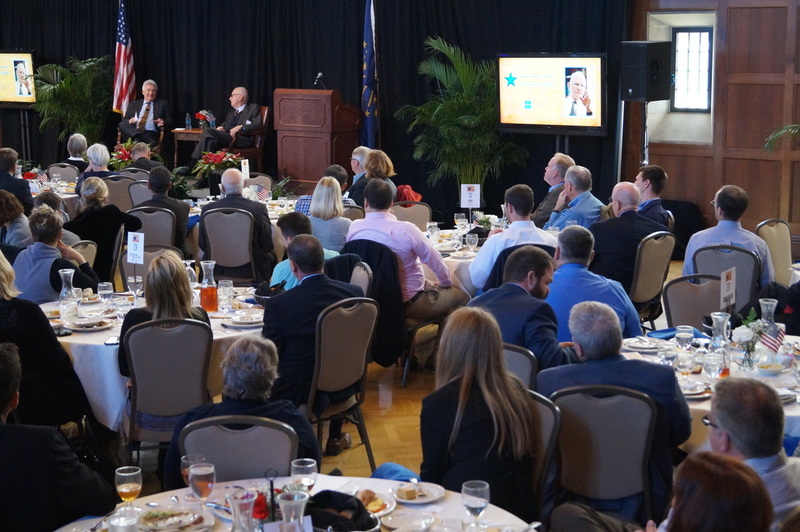 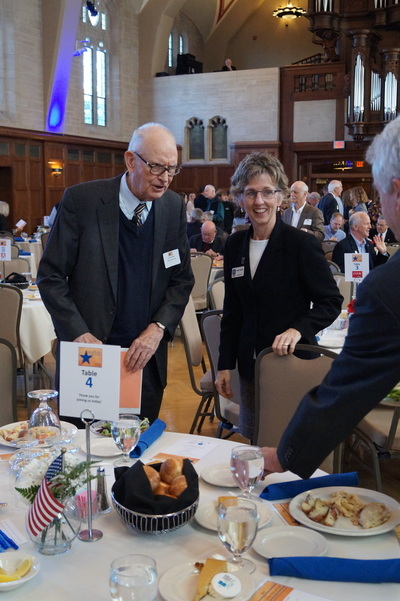 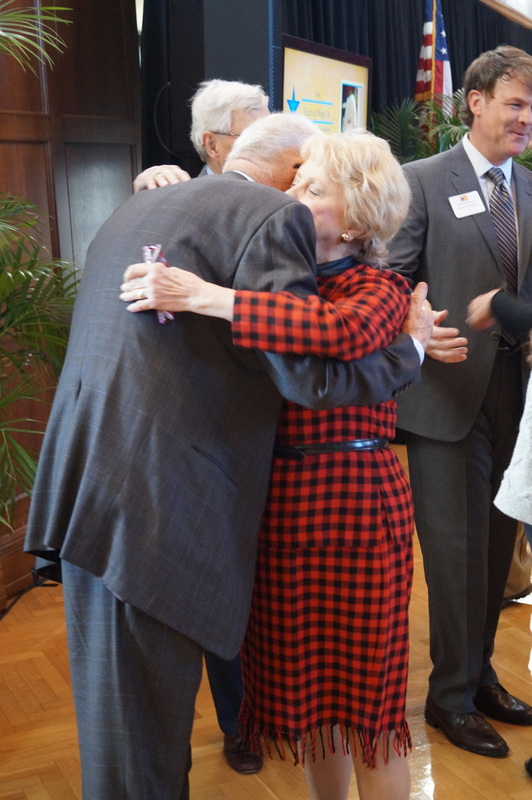 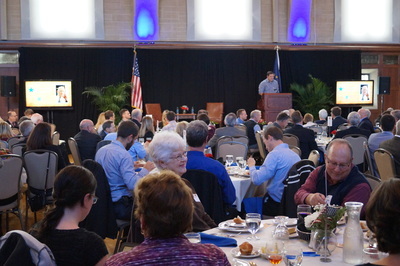 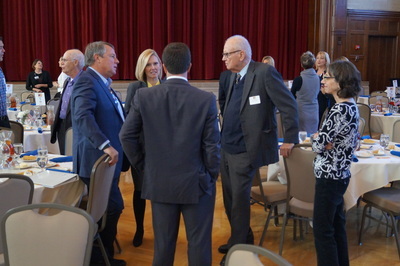 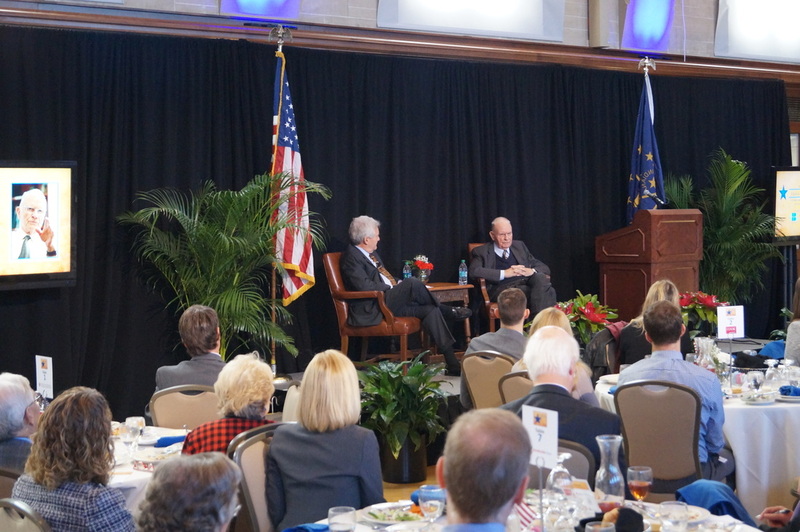 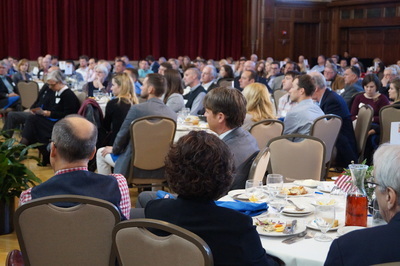 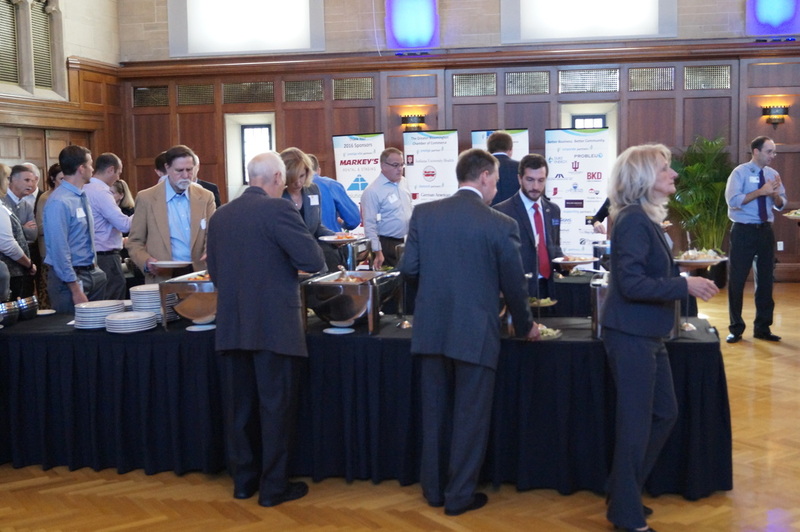 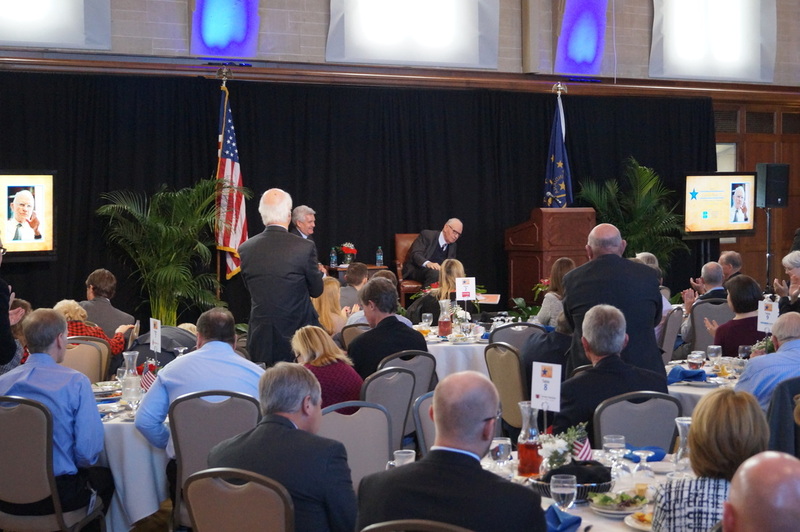 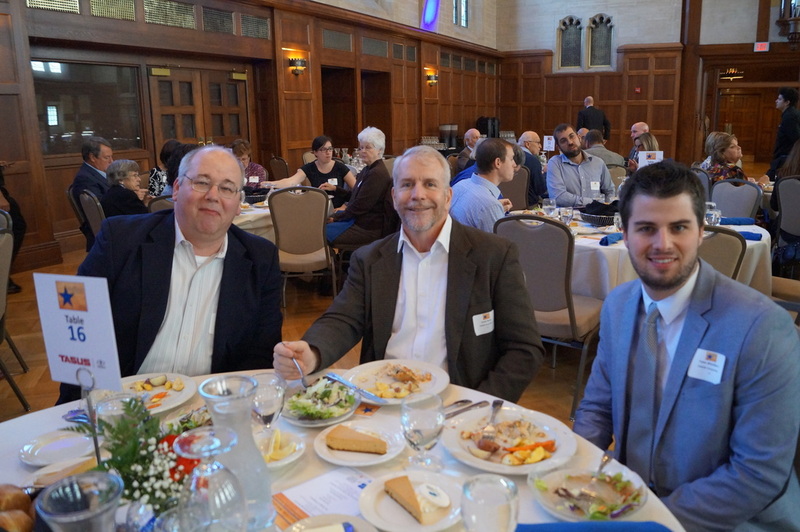 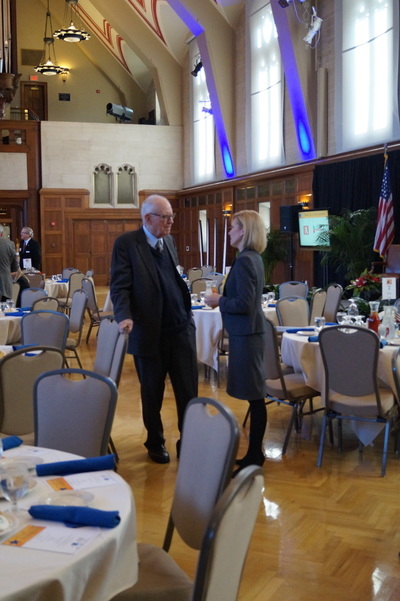 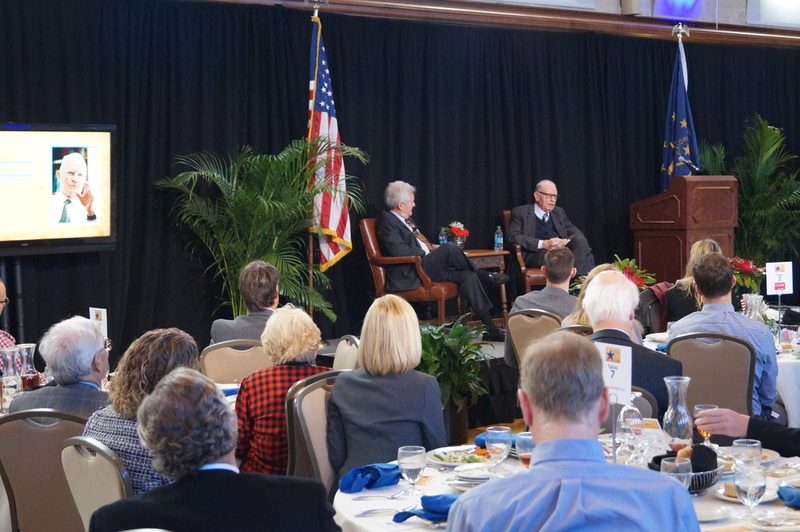 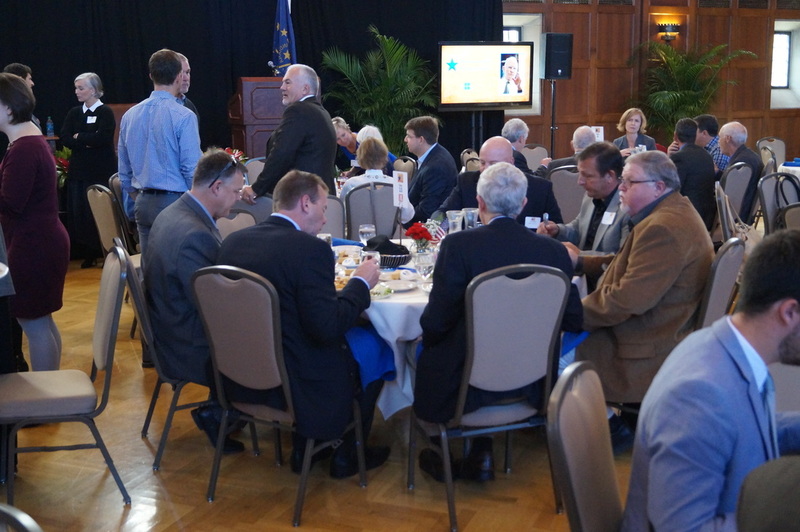 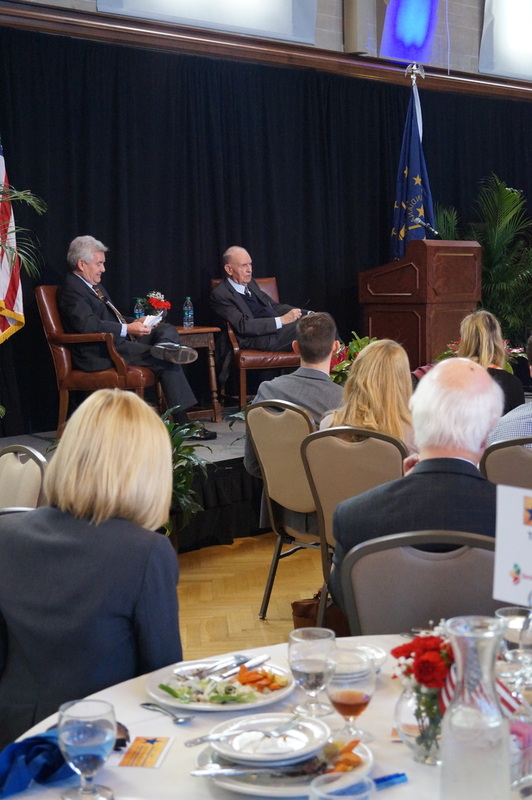 On Wednesday, November 16, 2016, The Greater Bloomington Chamber of Commerce welcomed members to the Indiana Memorial Union and Alumni Hall for a 2016 Election Wrap-Up luncheon. 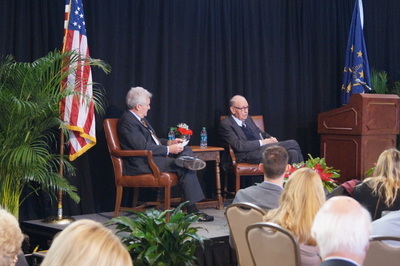 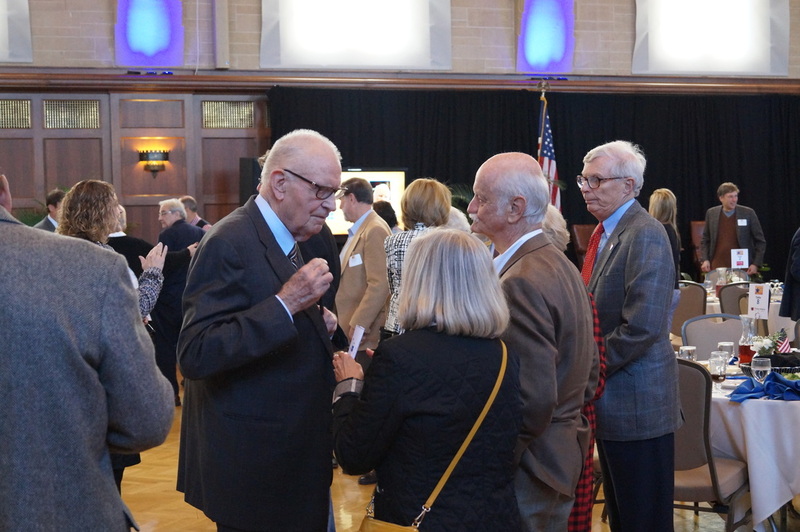 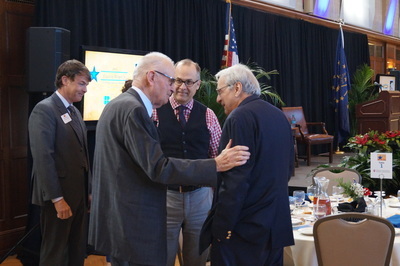 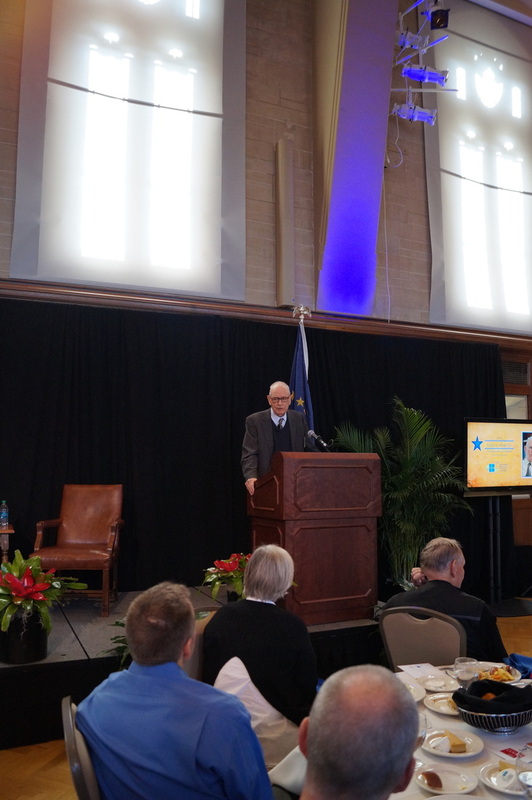 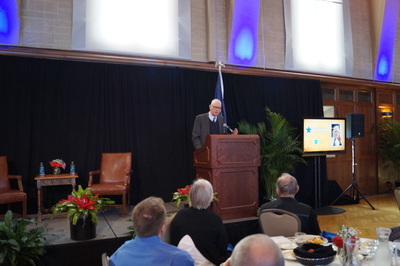 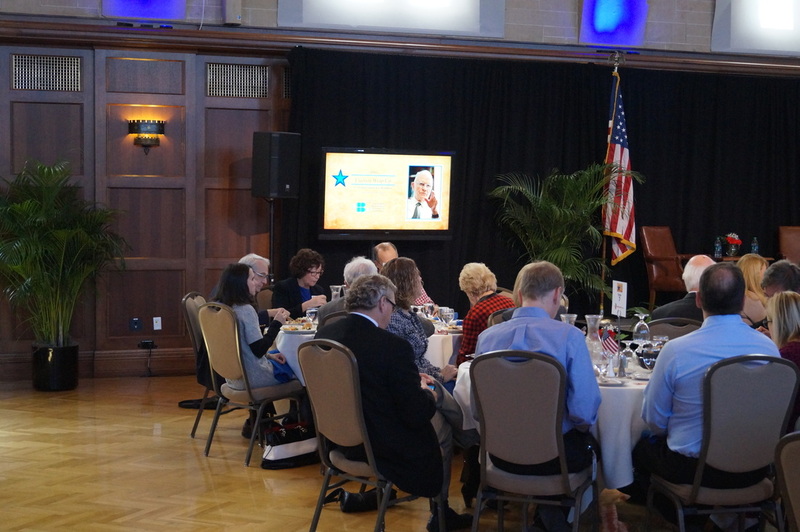 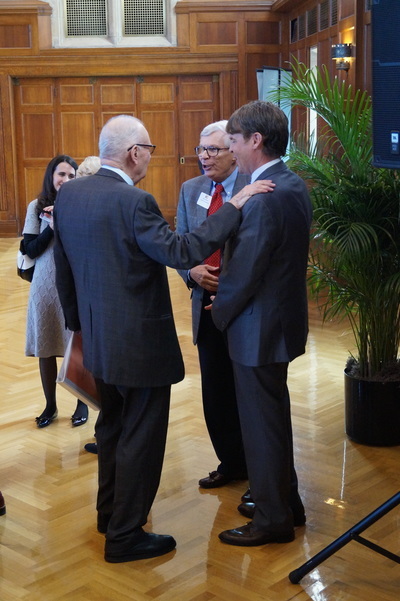 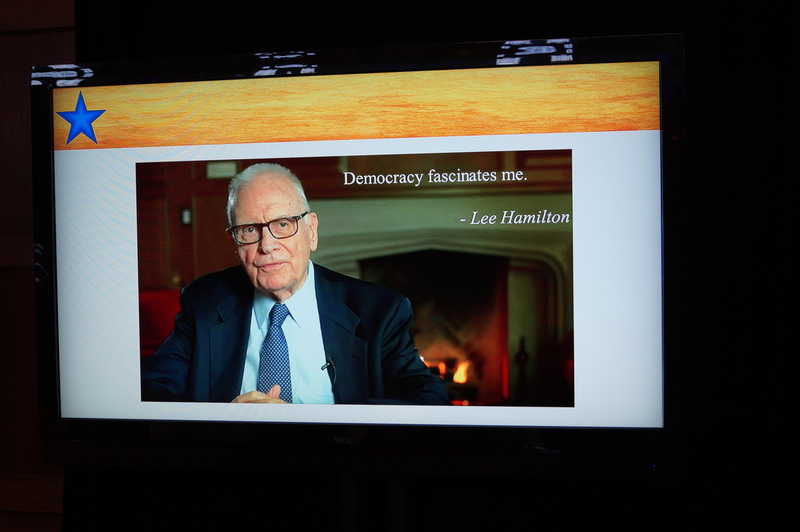 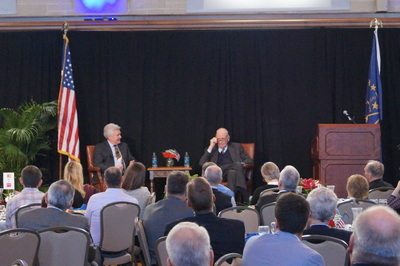 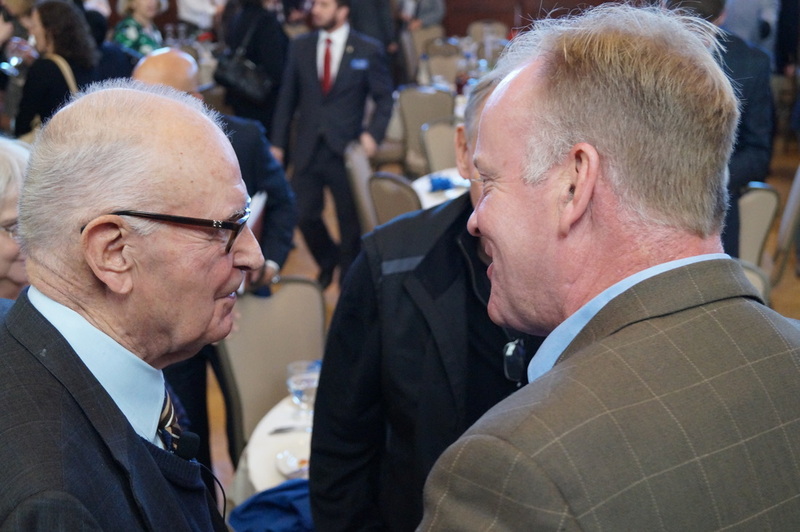 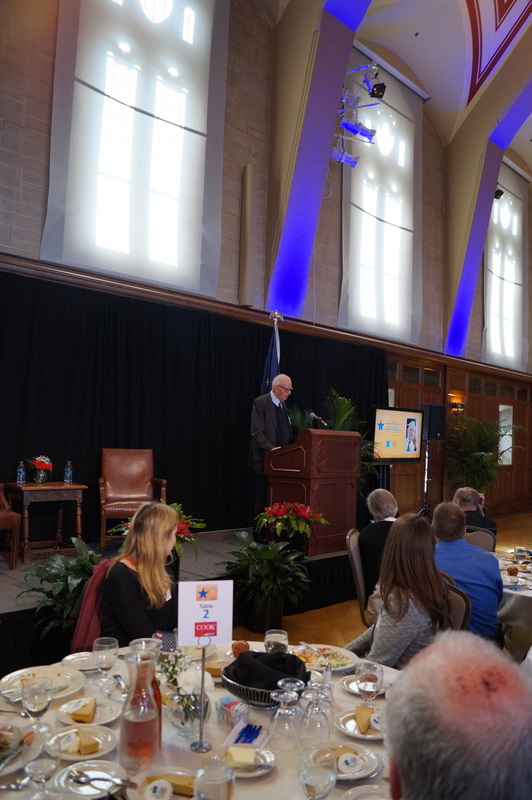 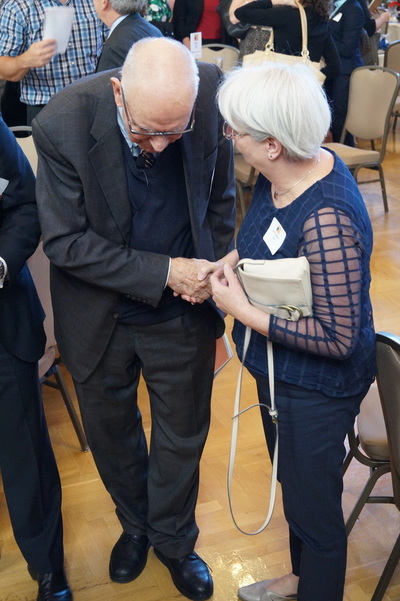 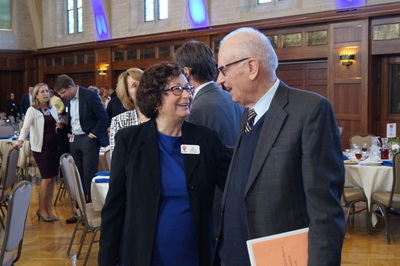 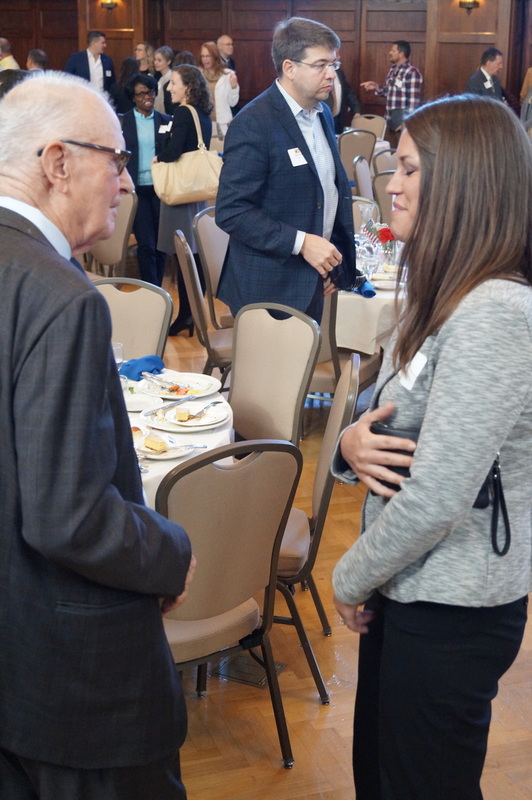 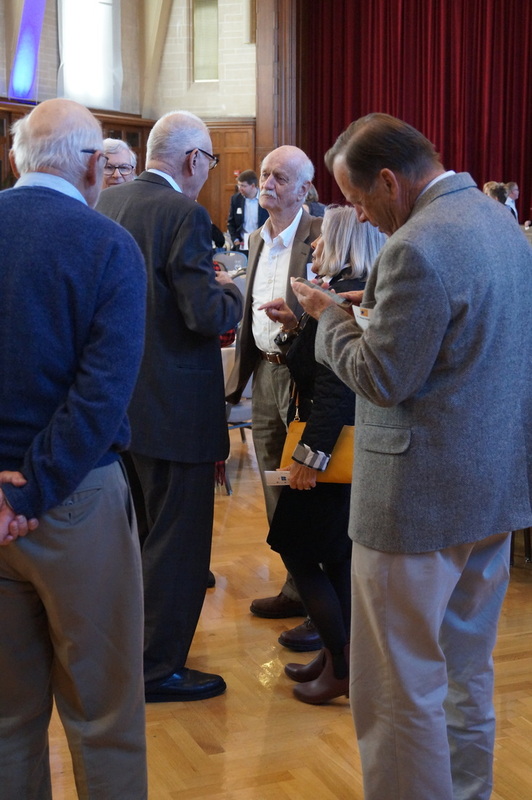 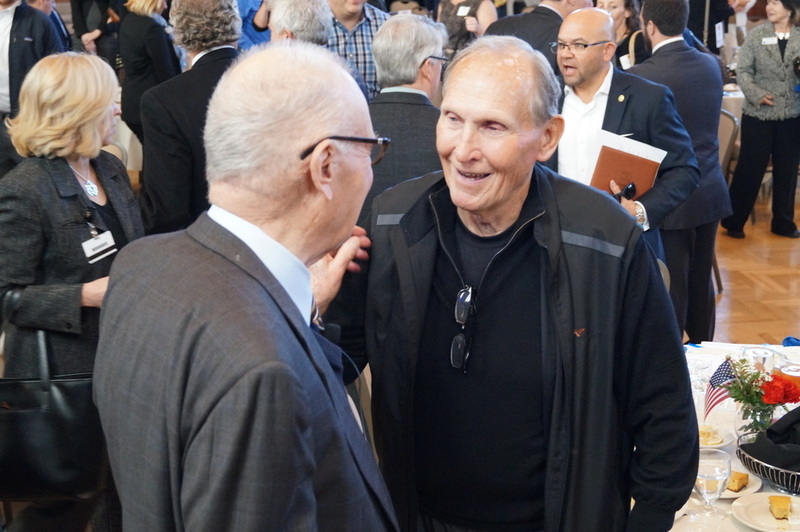 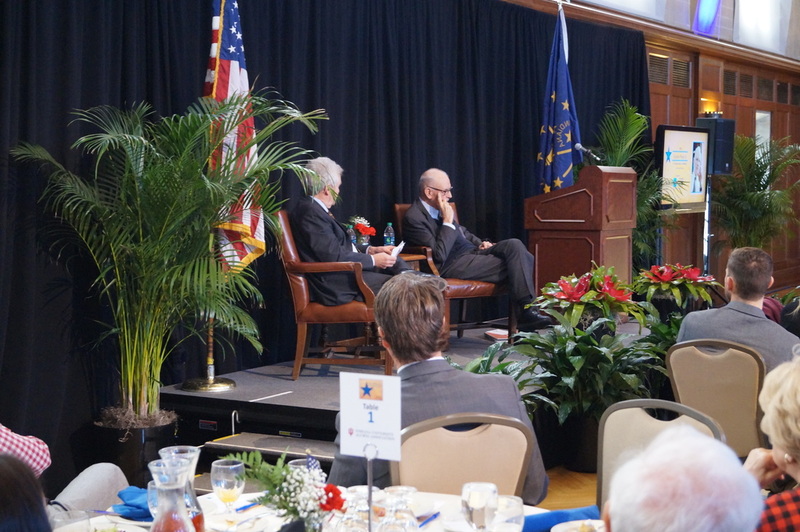 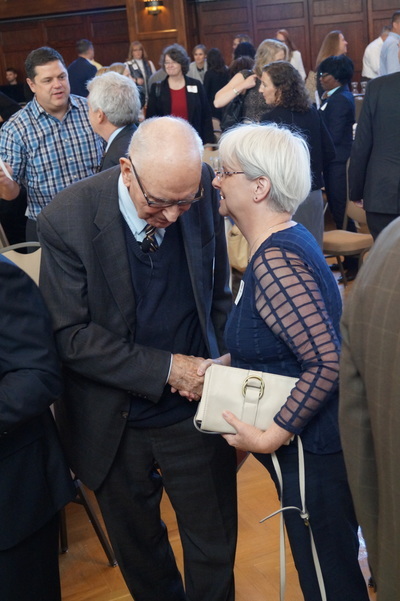 A filled hall enjoyed lunch as retired Congressman Lee Hamilton took the podium to speak about the presidential election and his thoughts about America and politics. 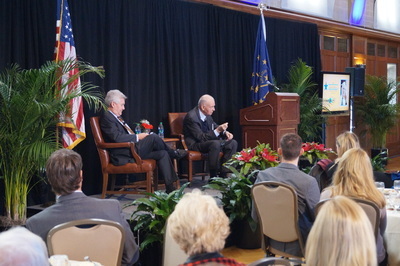 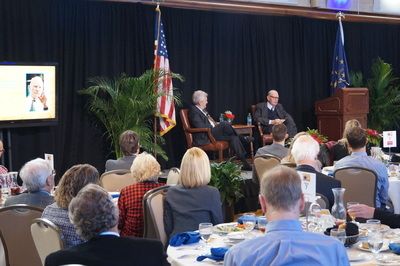 Later, during a Q&A session moderated by Paul Helmke, Hamilton shared insights on health care in America, journalism and why America is still great - but could do better. 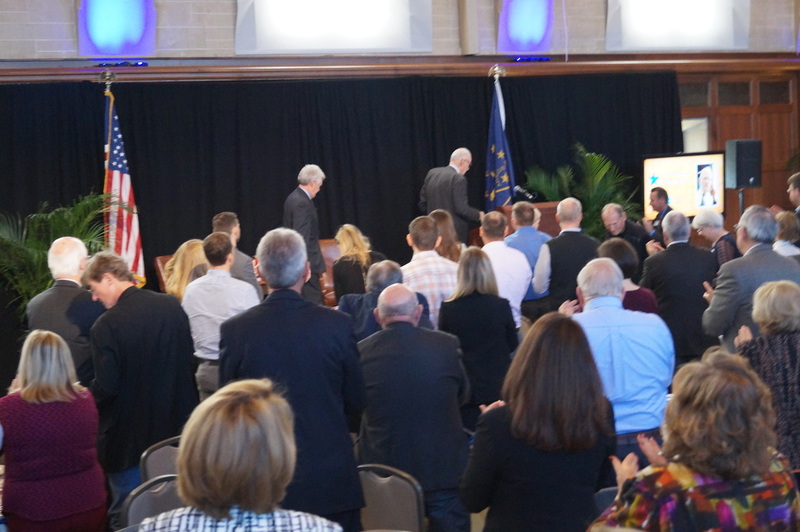 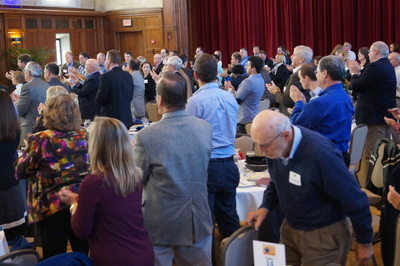 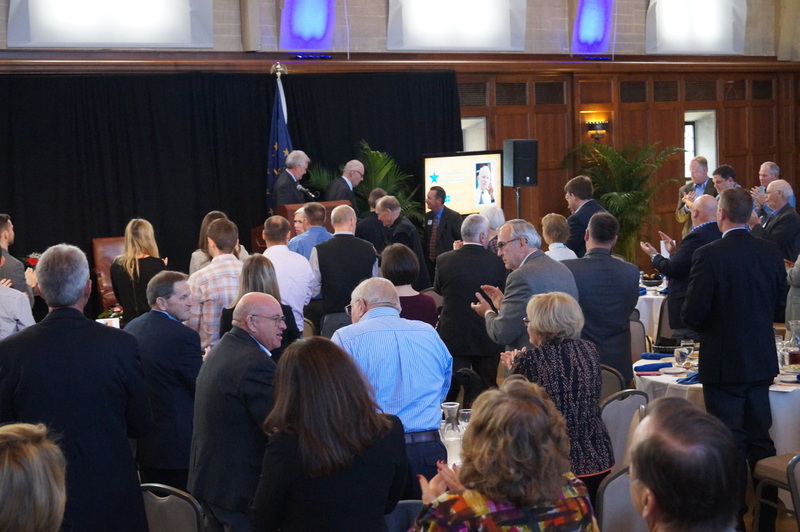 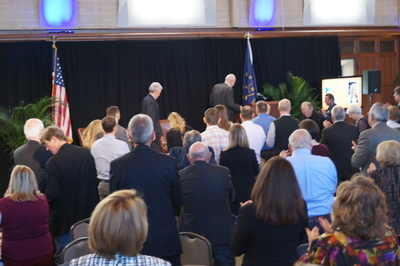 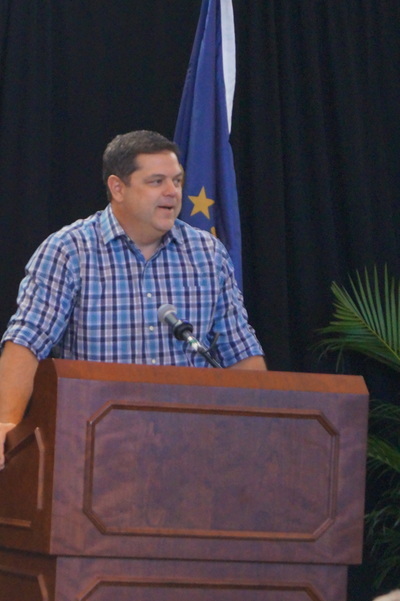 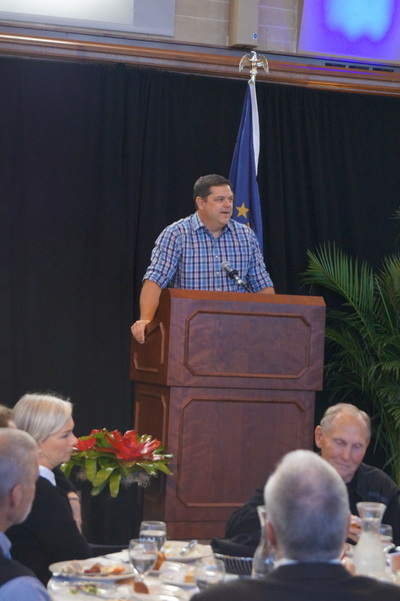 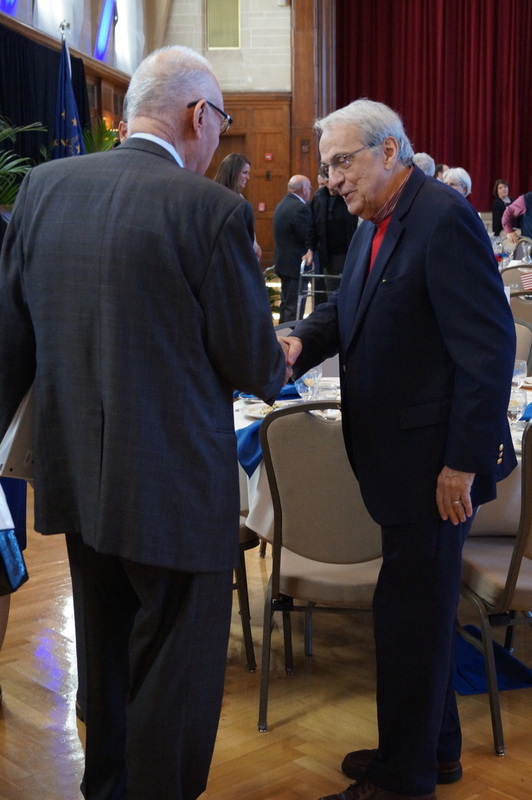 Congressman Hamilton was greeted with a standing ovation at the end of the luncheon.